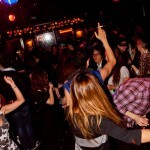 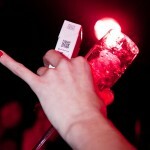 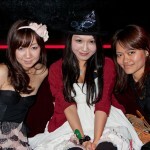 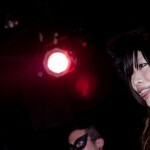 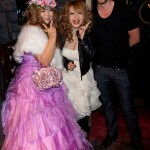 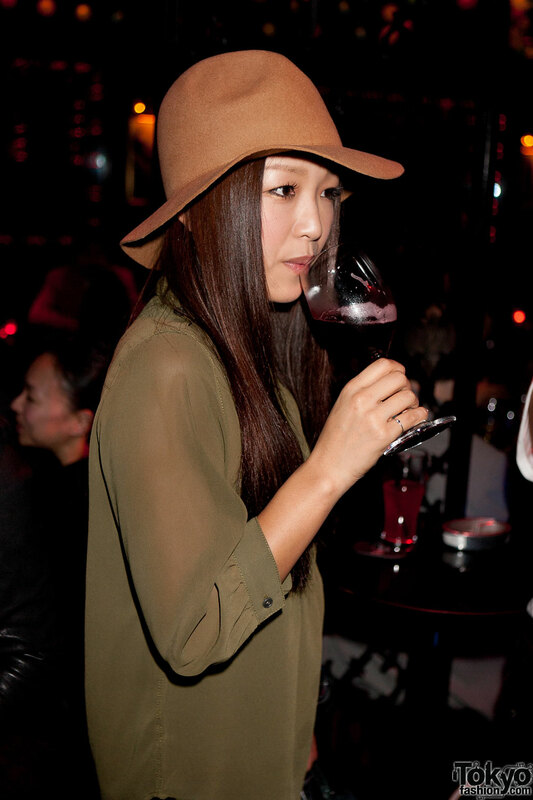 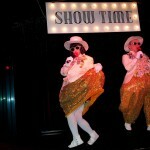 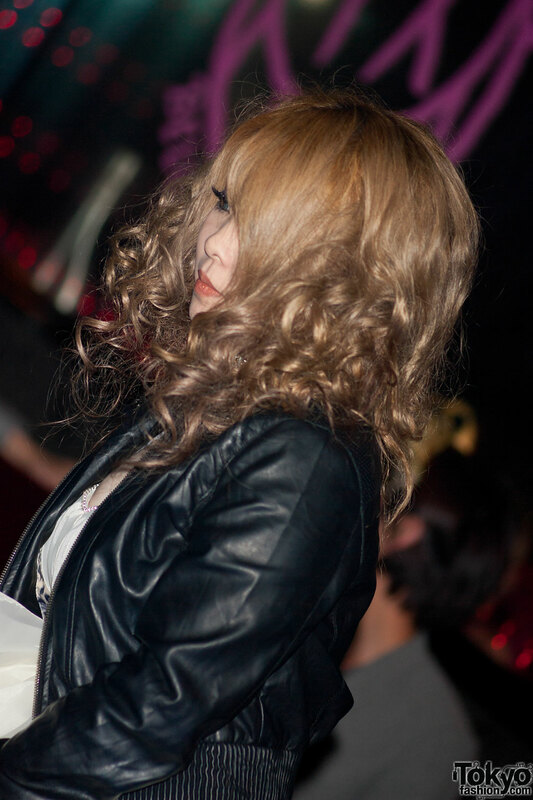 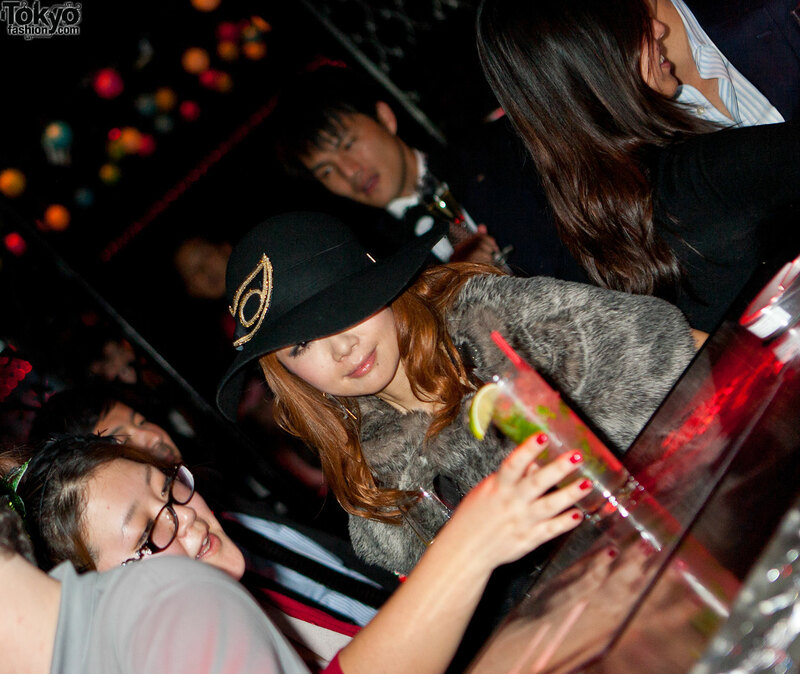 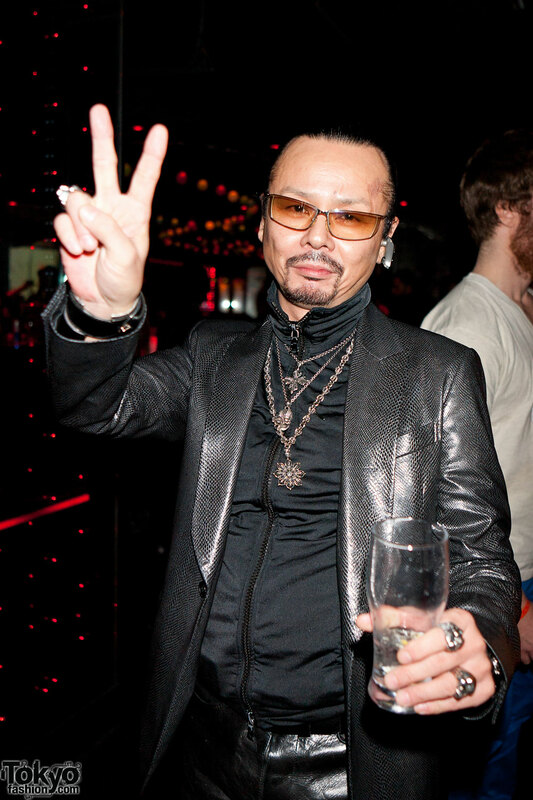 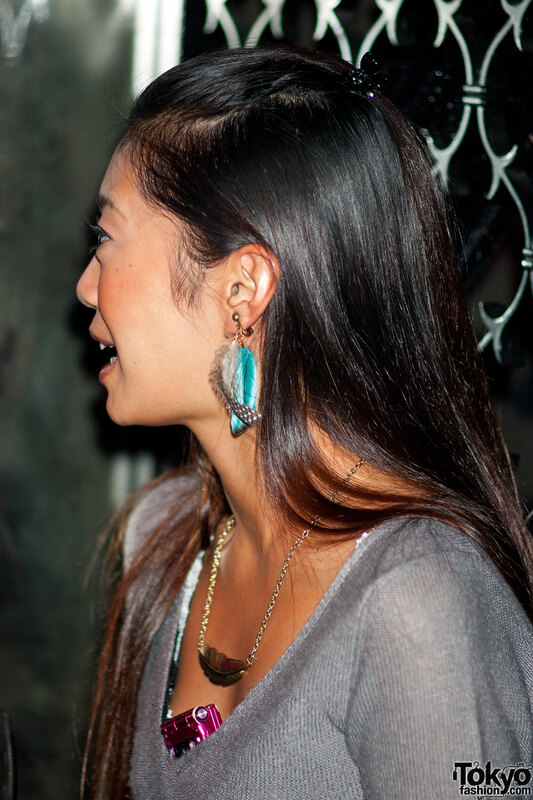 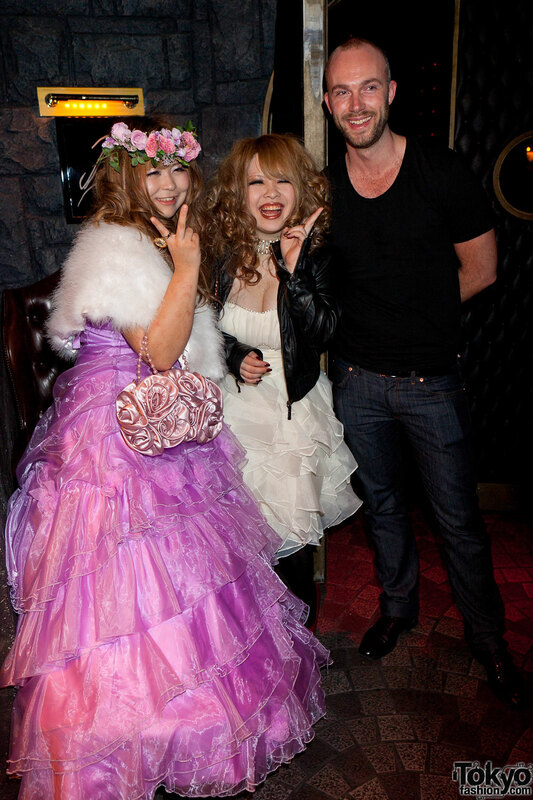 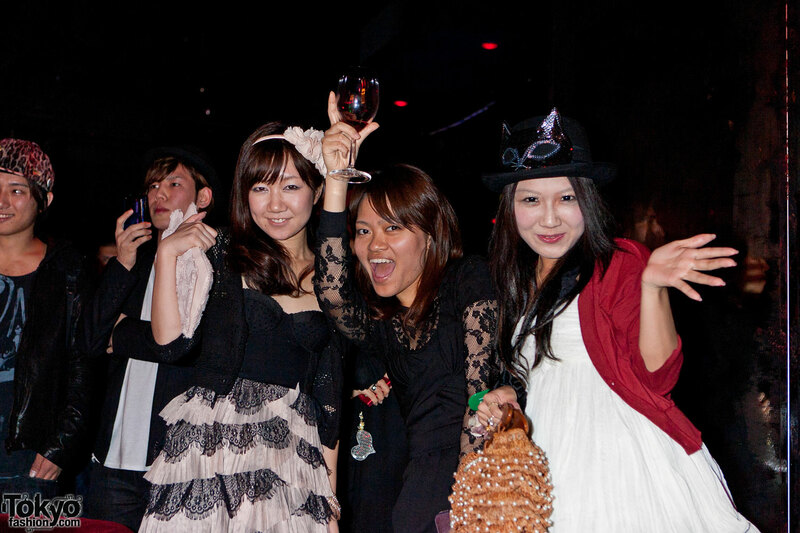 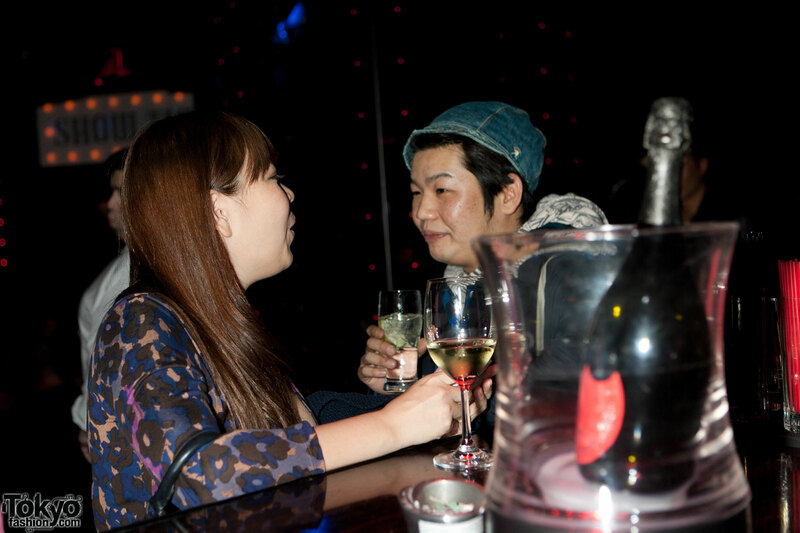 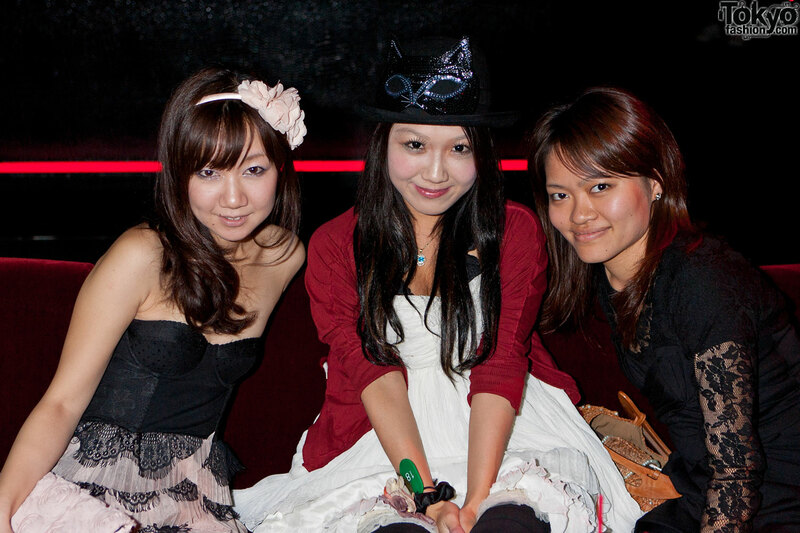 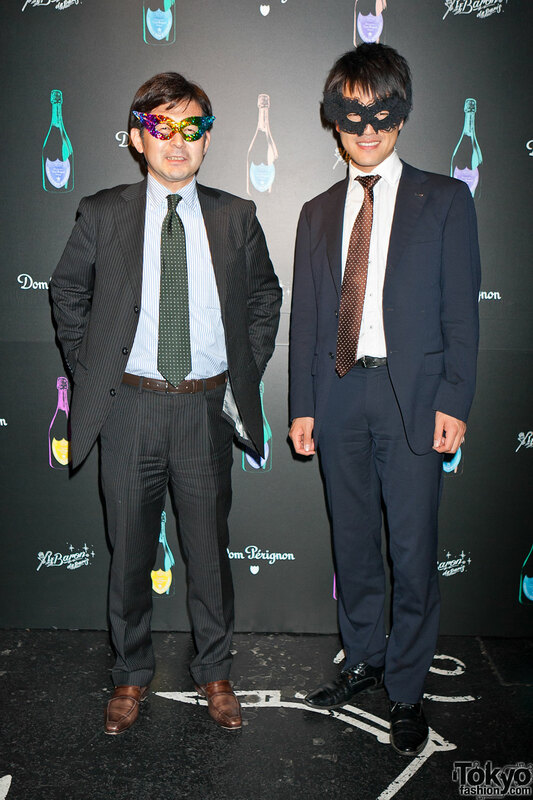 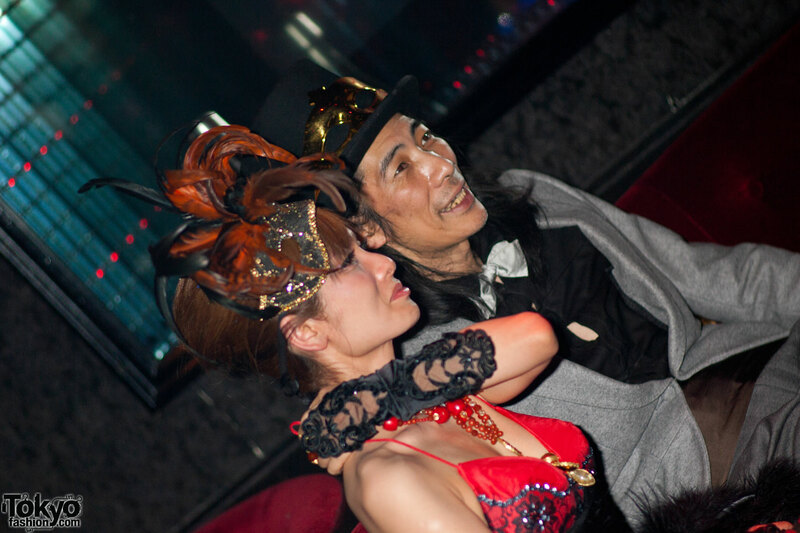 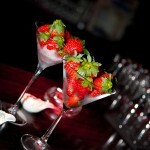 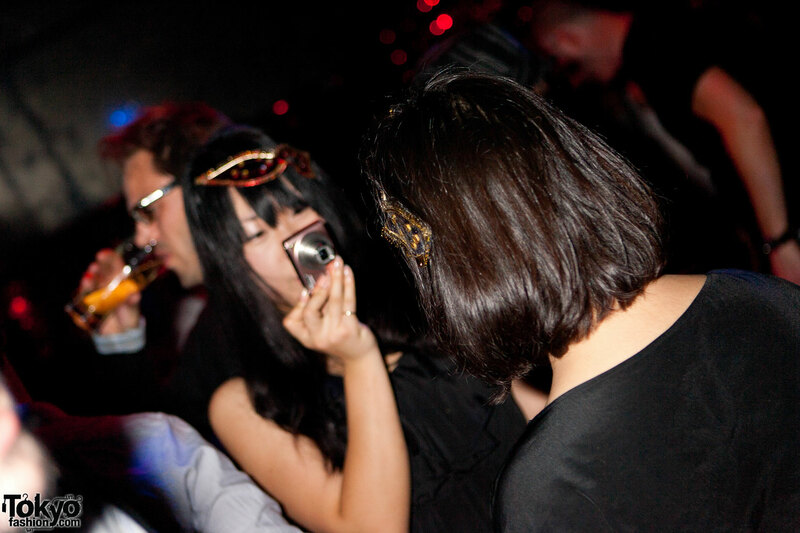 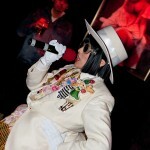 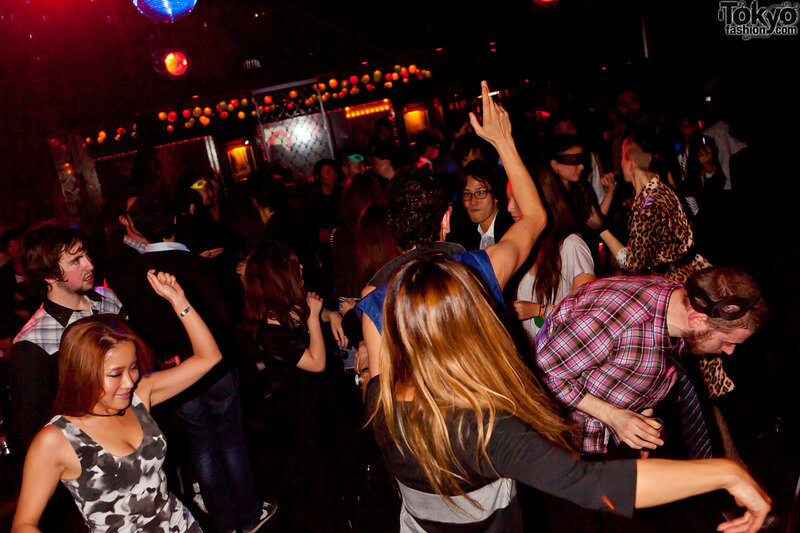 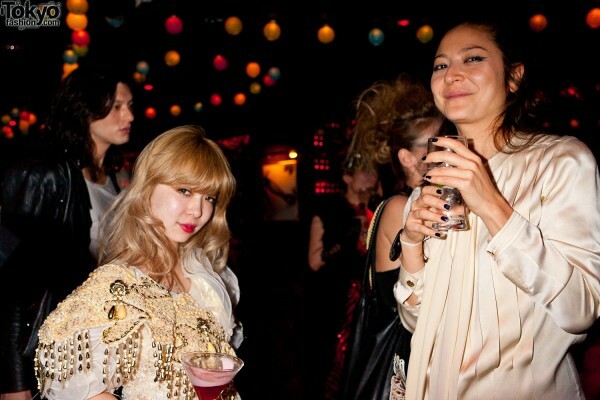 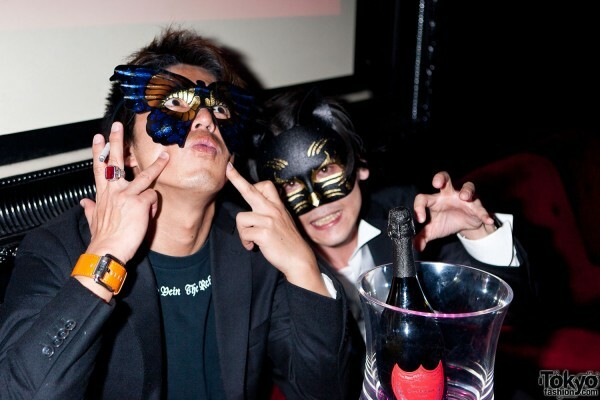 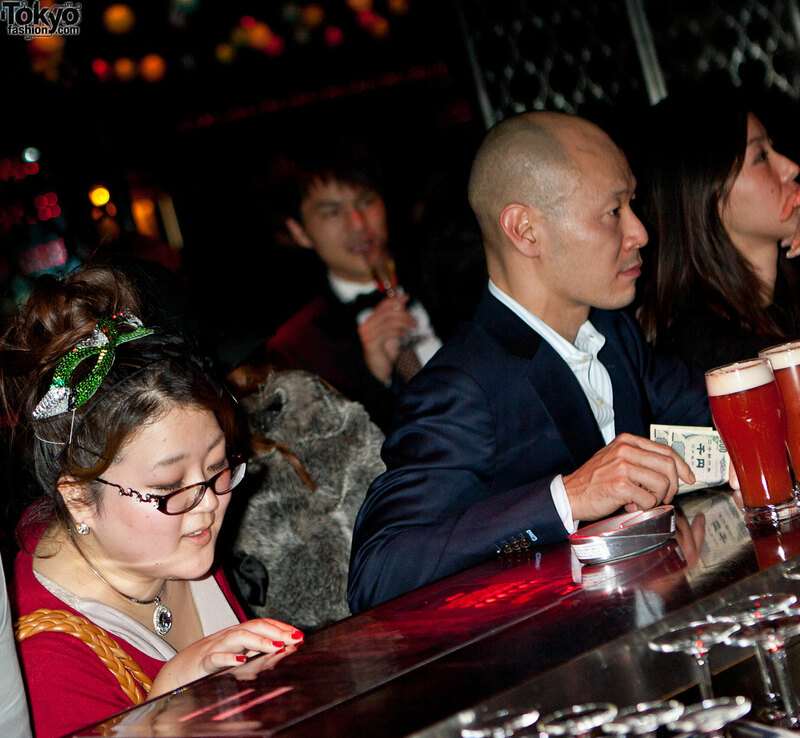 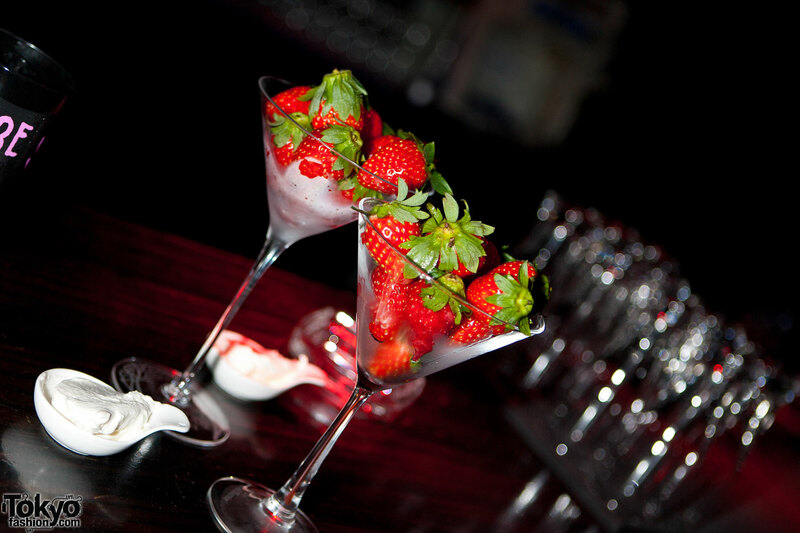 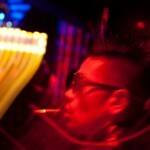 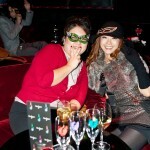 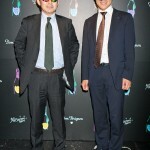 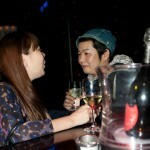 Le Baron de Paris is one of the landmark nightclubs in Tokyo. 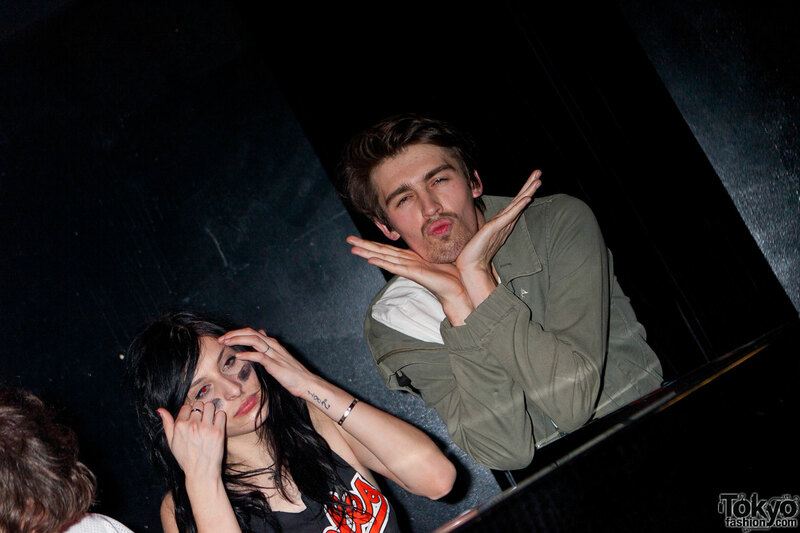 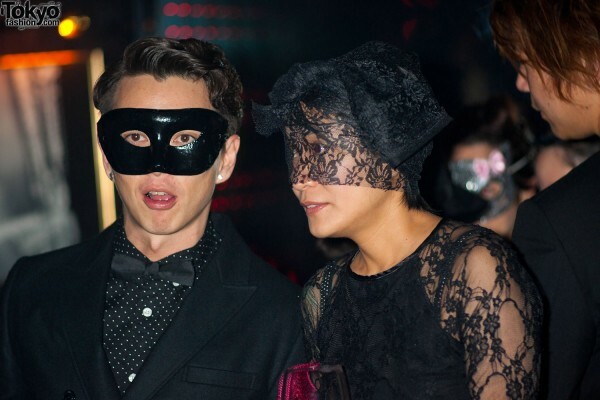 When they have a birthday party, it’s going to be big – “all night” is just getting started. 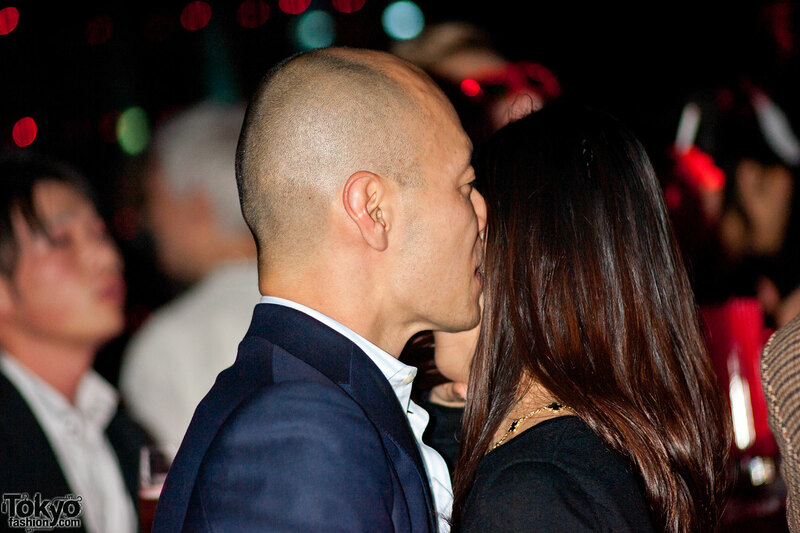 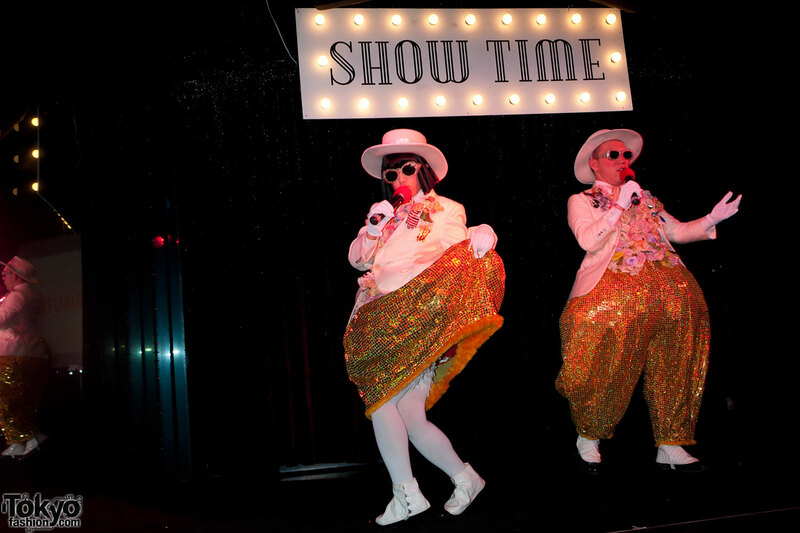 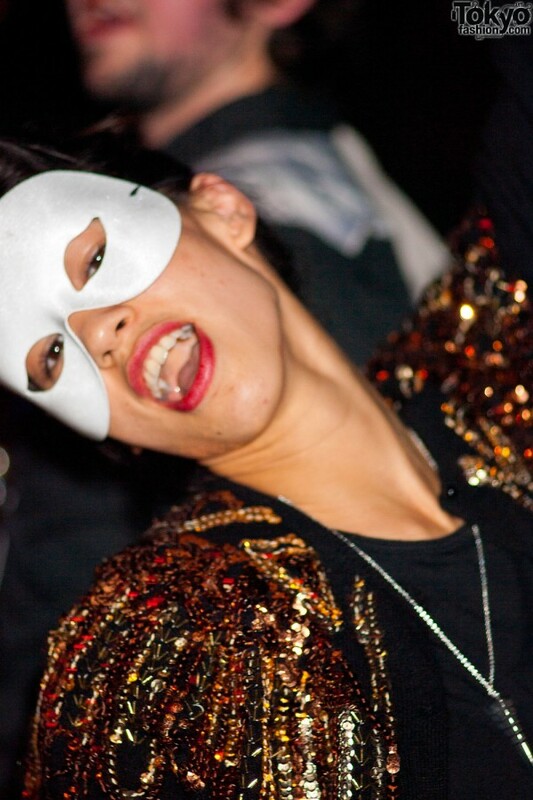 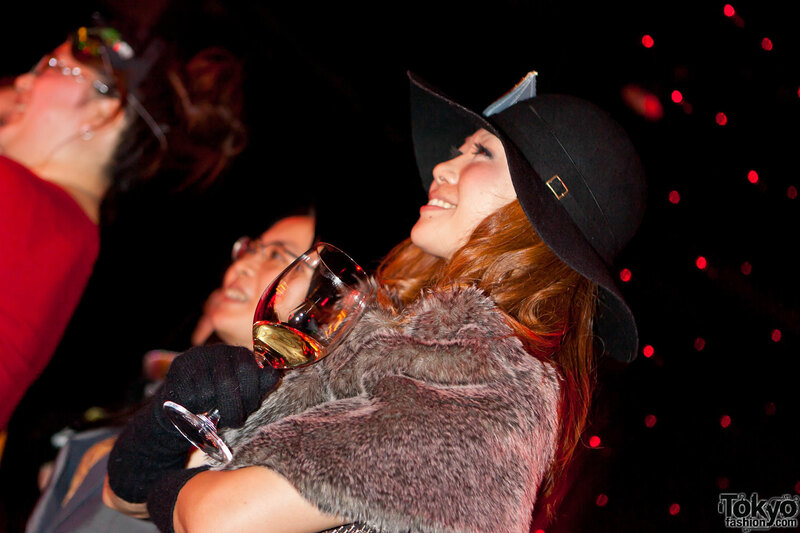 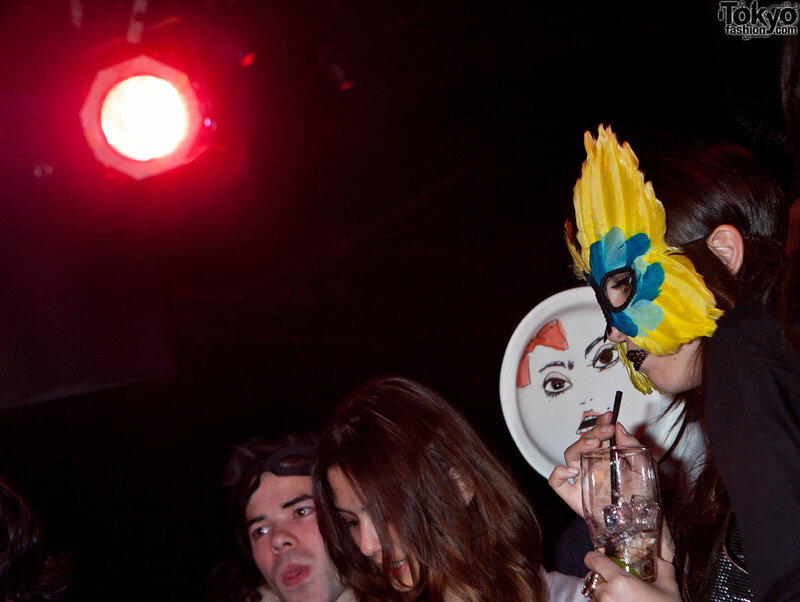 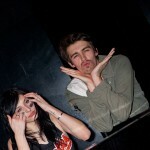 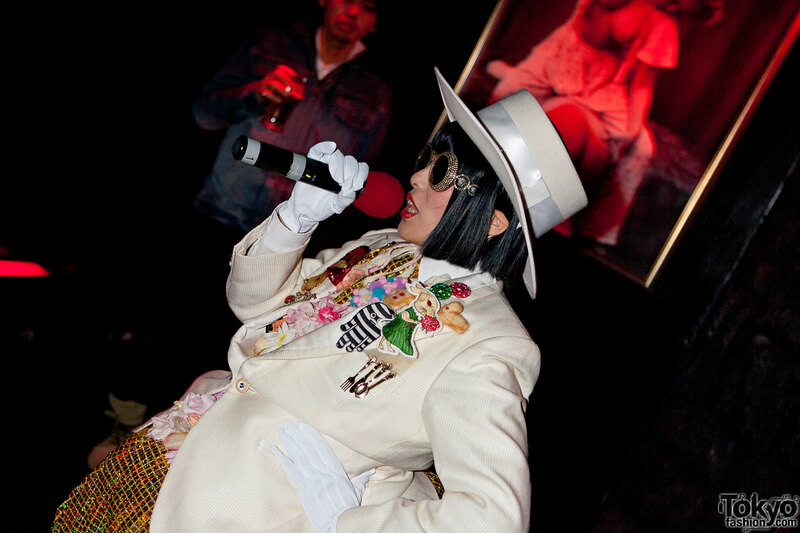 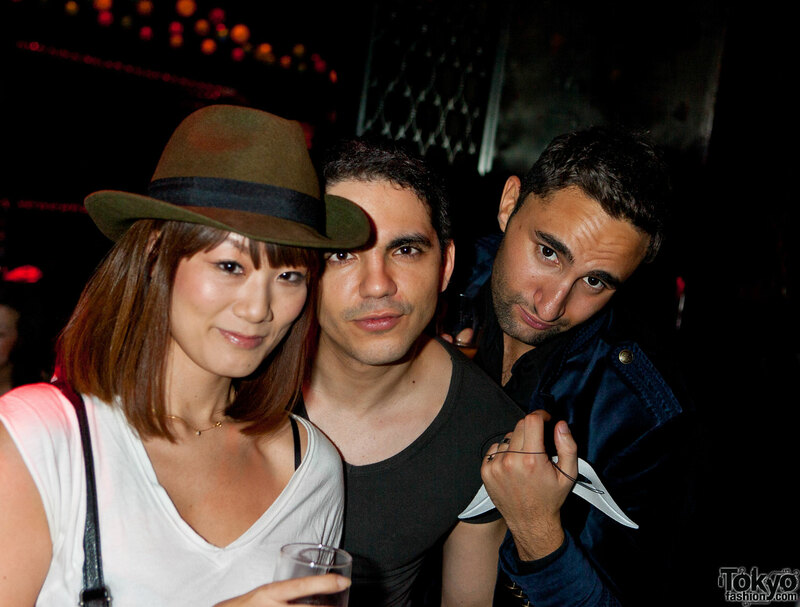 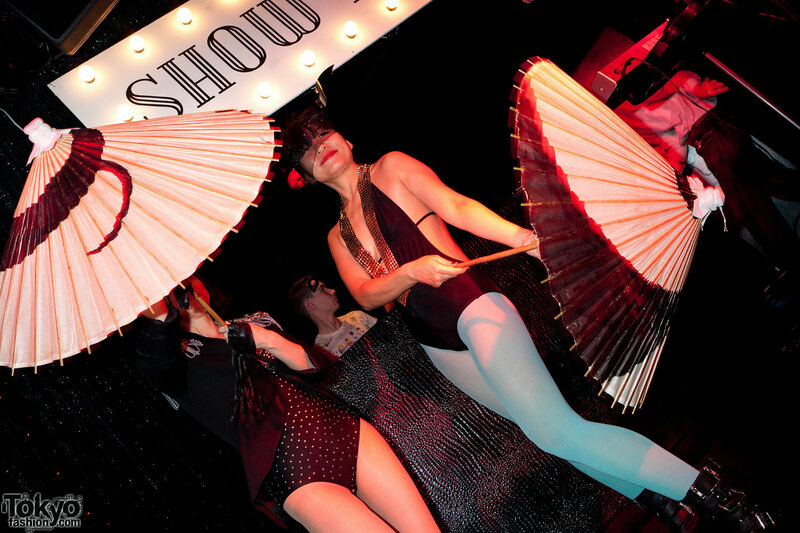 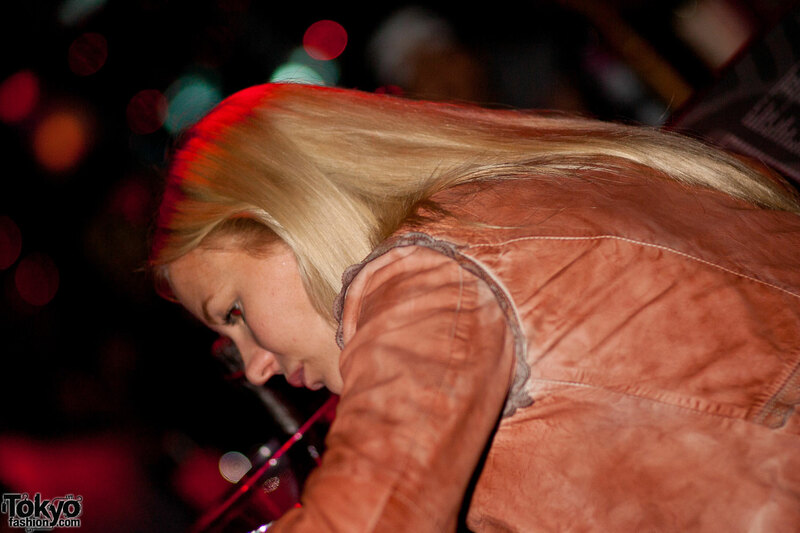 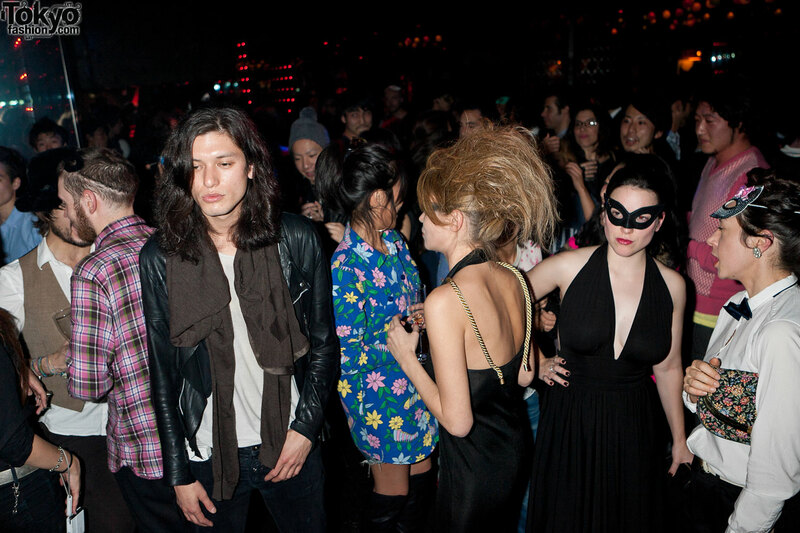 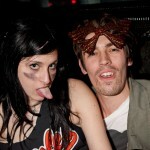 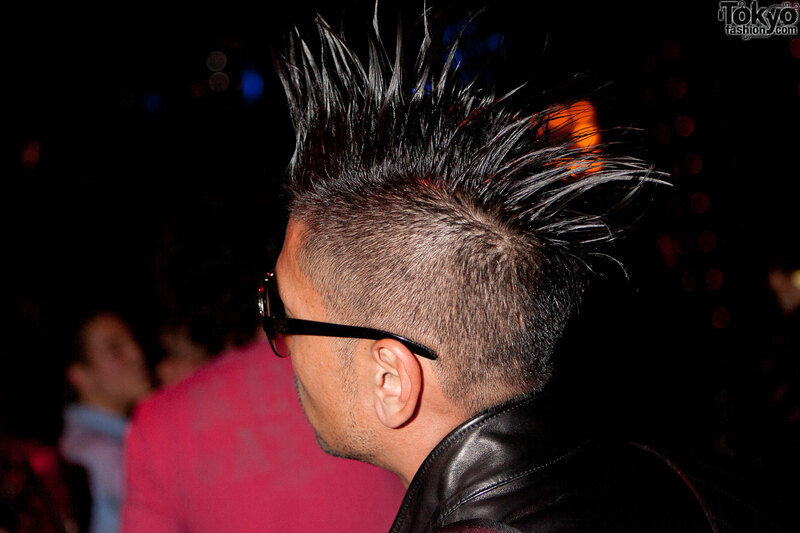 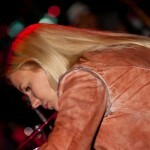 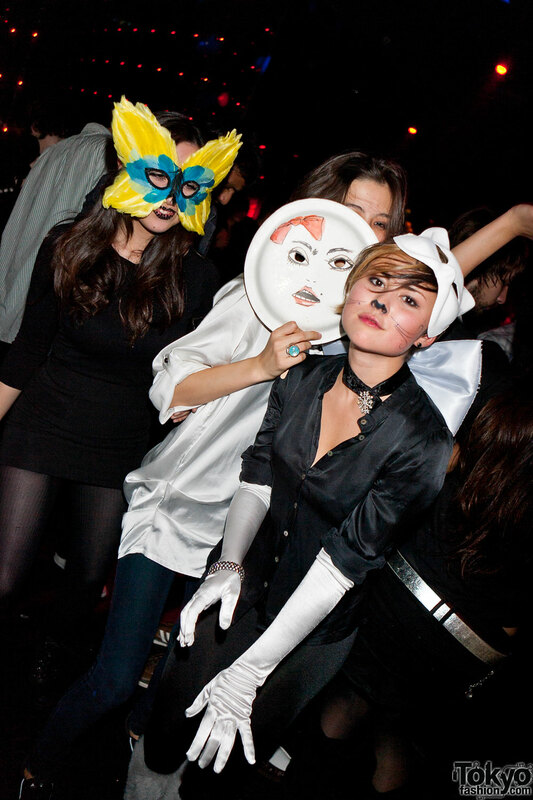 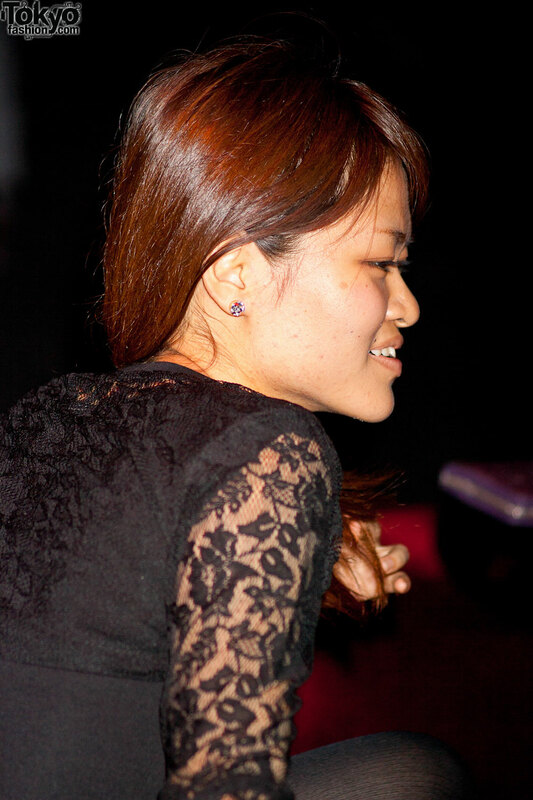 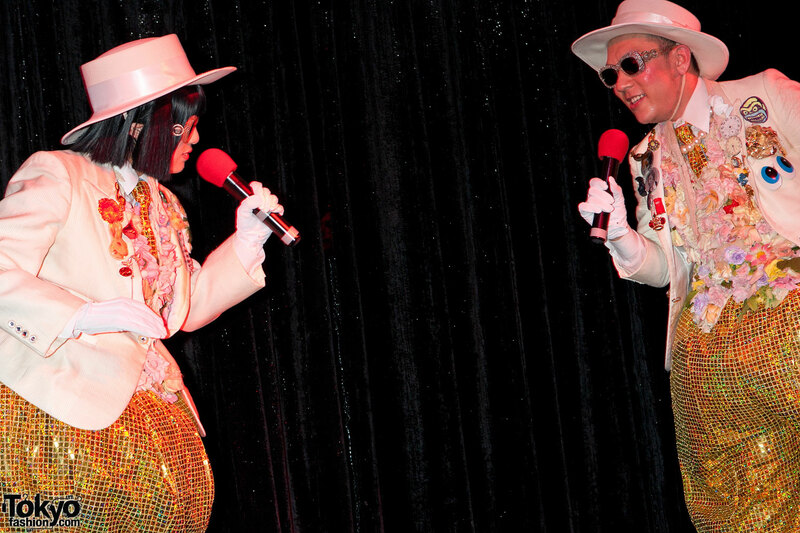 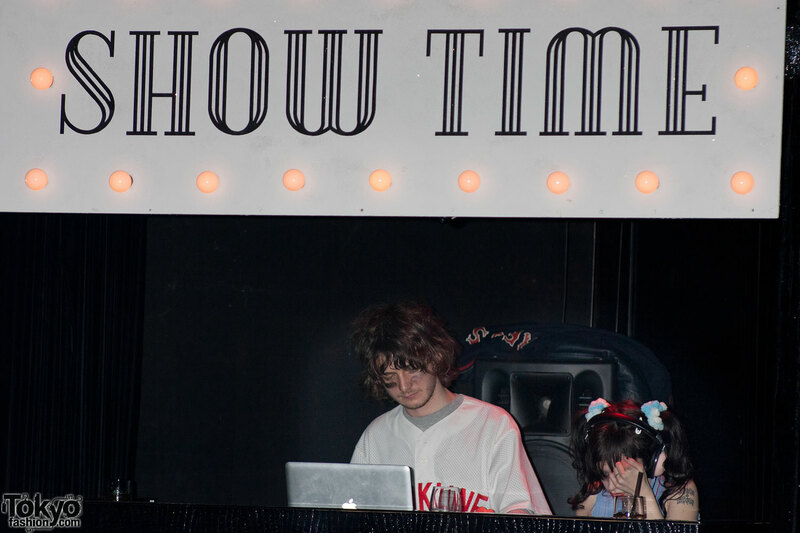 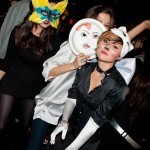 Le Baron’s recent 4th Anniversary Party was a non-stop three-night bash. 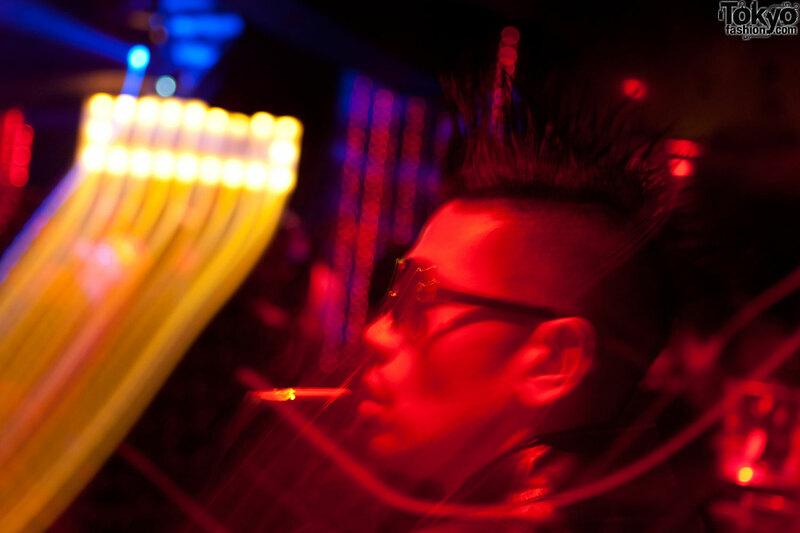 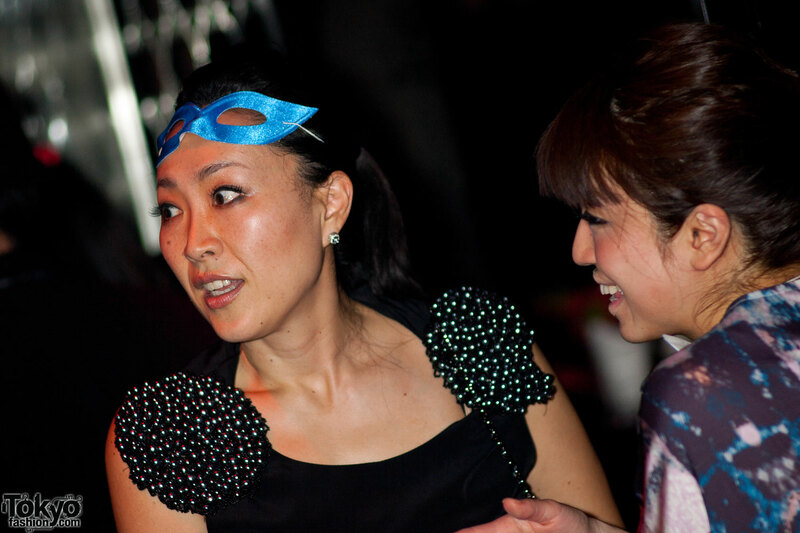 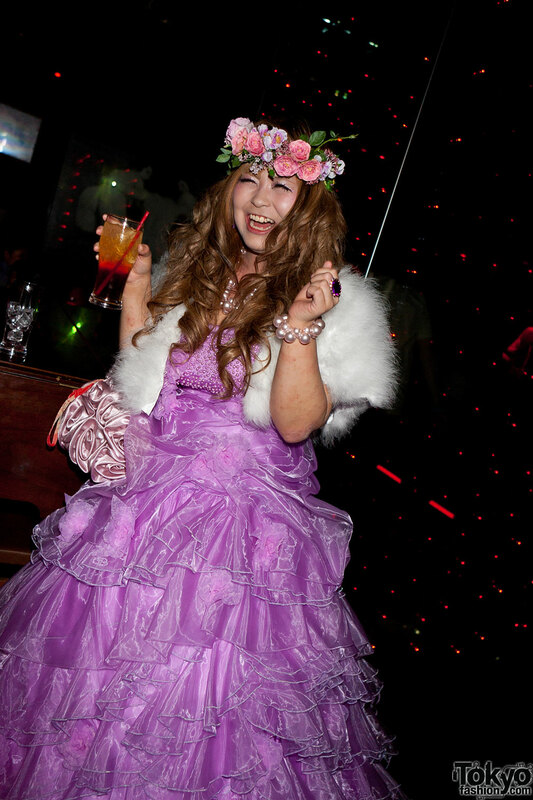 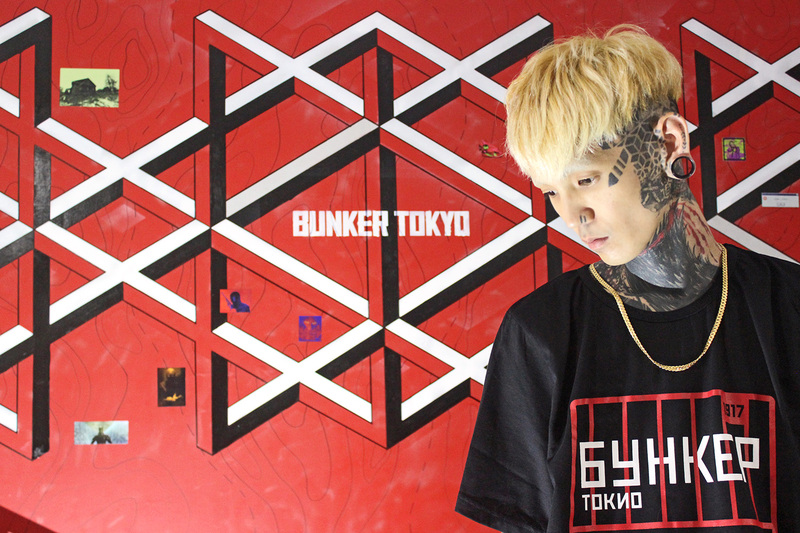 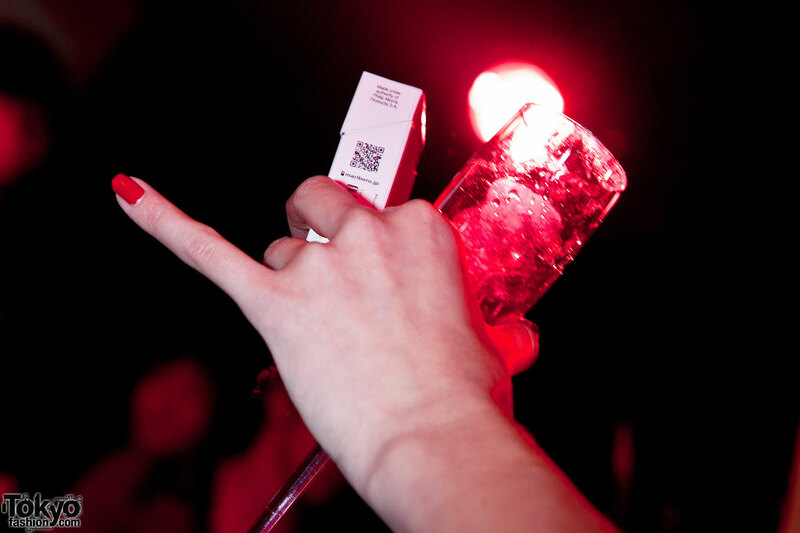 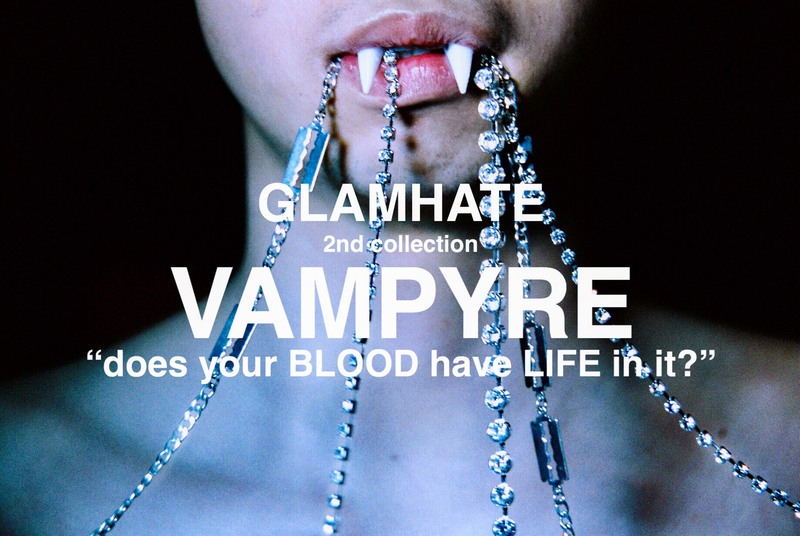 Each night had a different theme and dress code, but the goal was the same – have fun while celebrating four years of one of the most important clubs in Tokyo’s hyper-active nightlife scene. 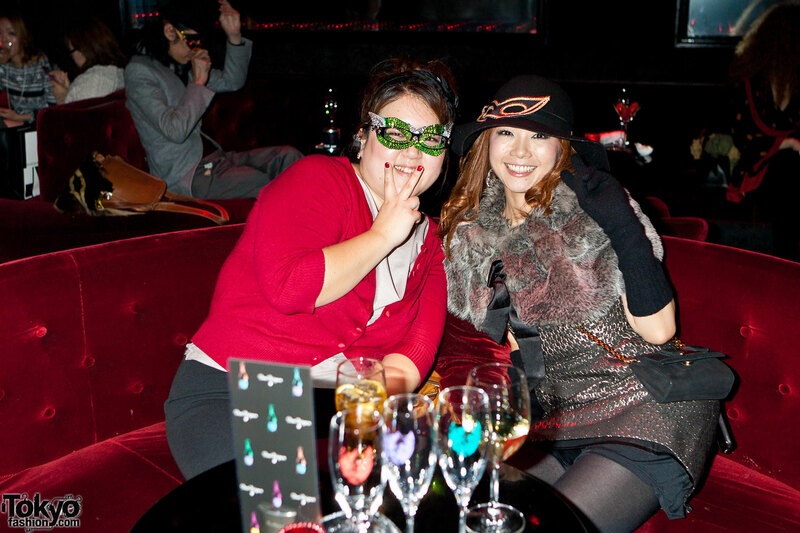 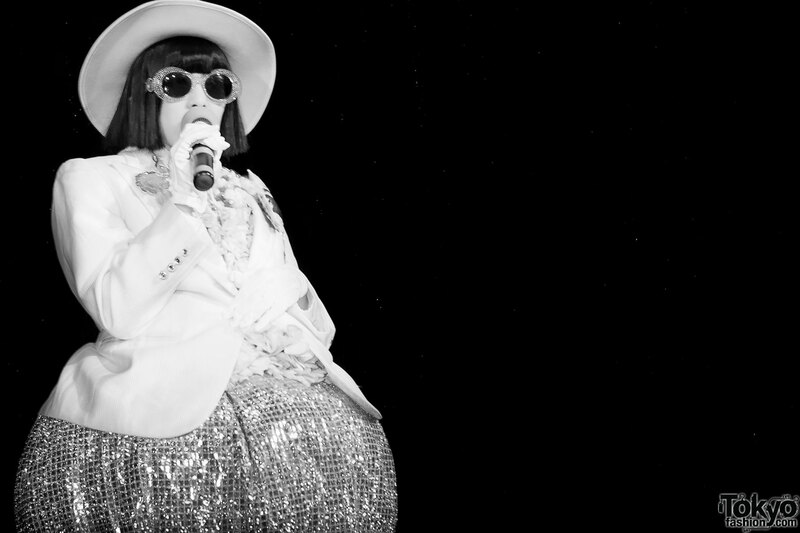 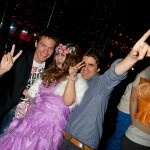 We previously brought you a report on the first night (Tokyo Bang!). 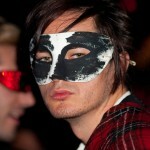 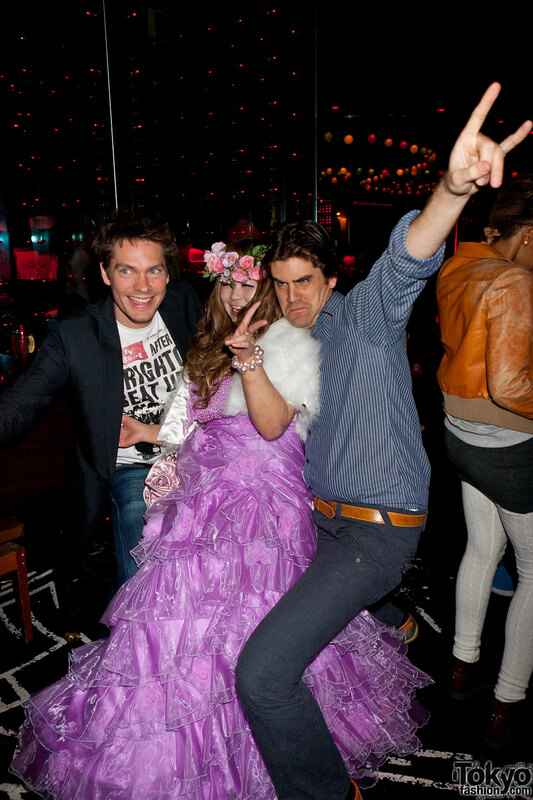 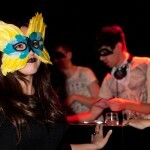 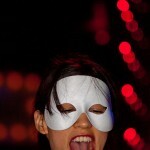 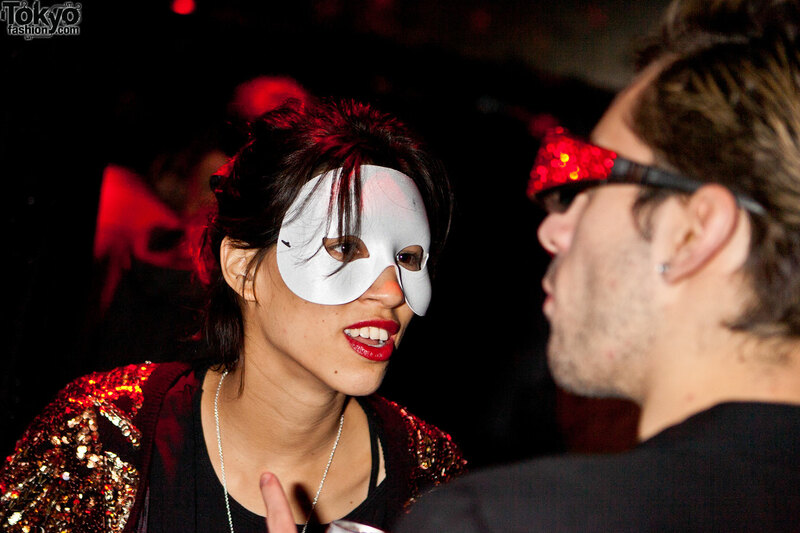 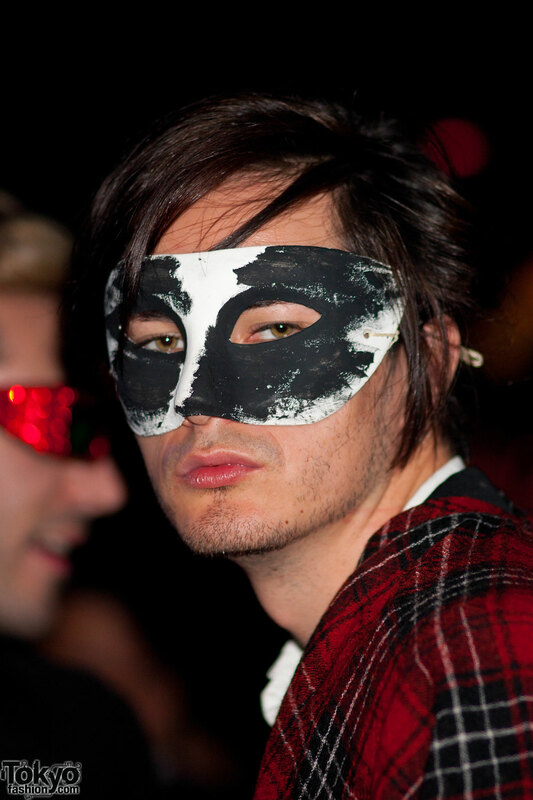 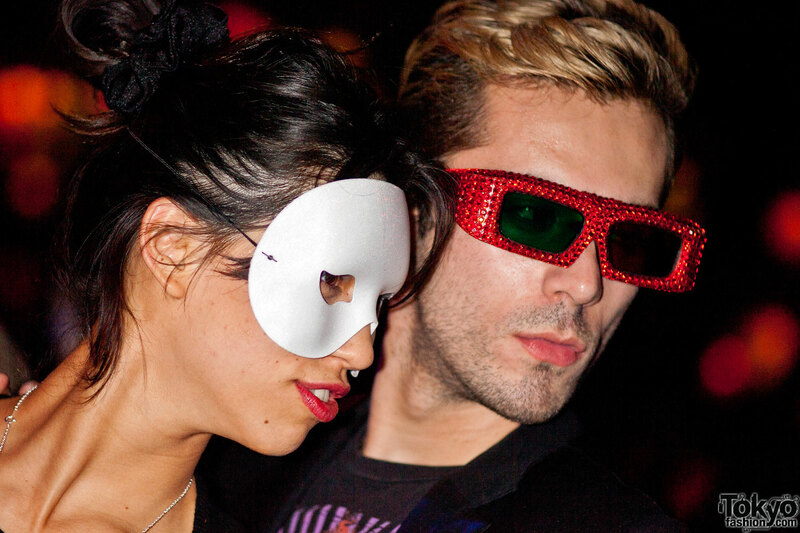 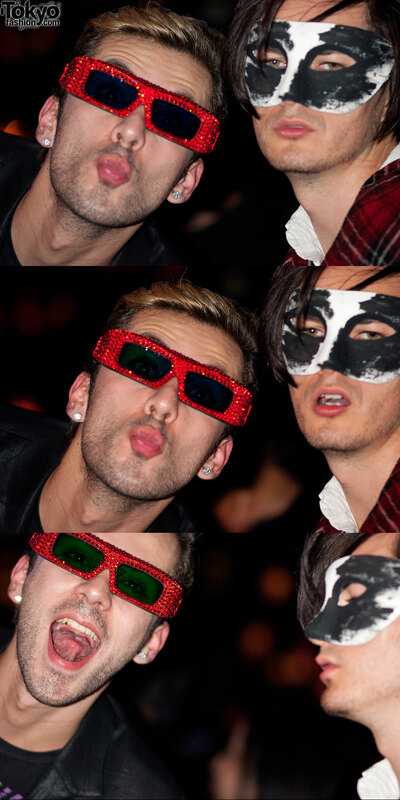 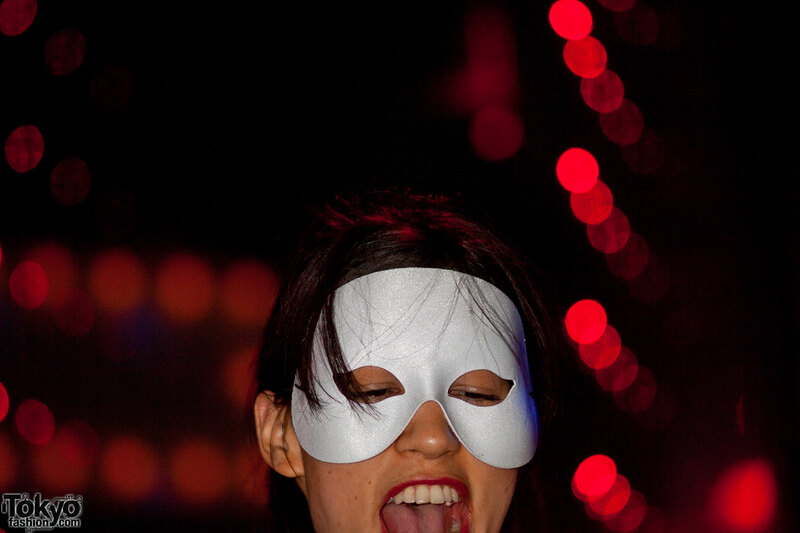 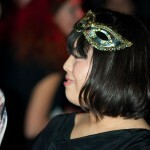 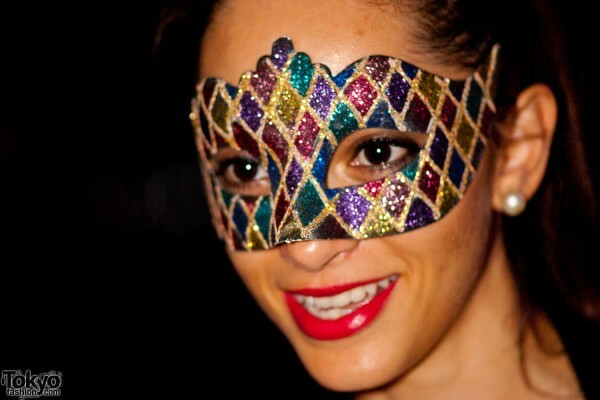 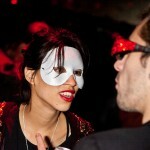 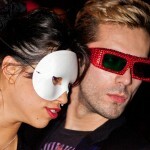 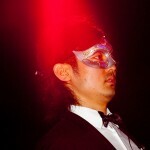 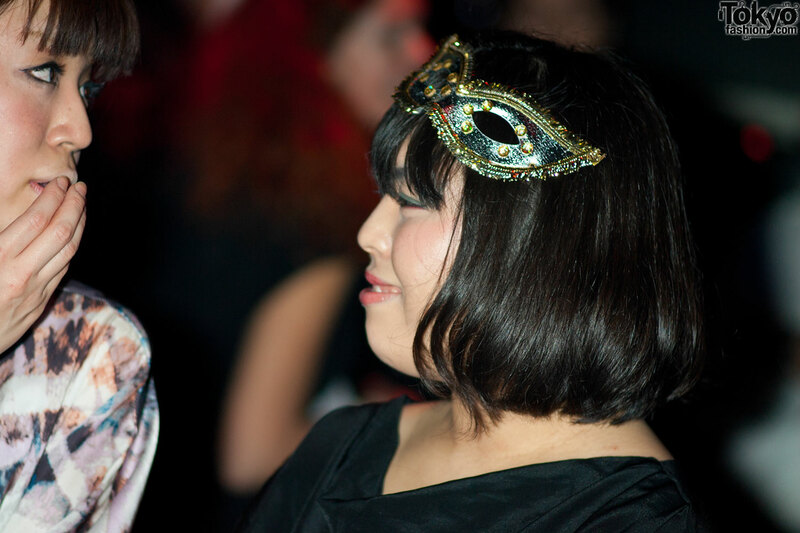 Now it’s time to show you pictures of the second night, MASQUERADE BANG! 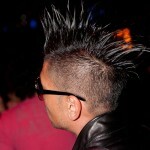 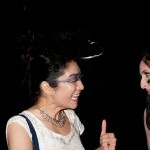 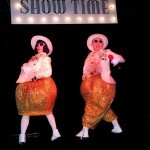 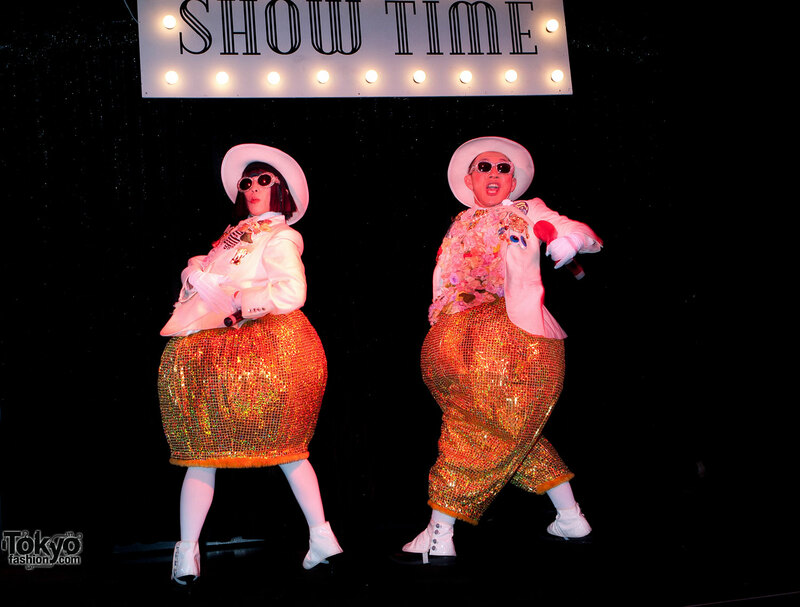 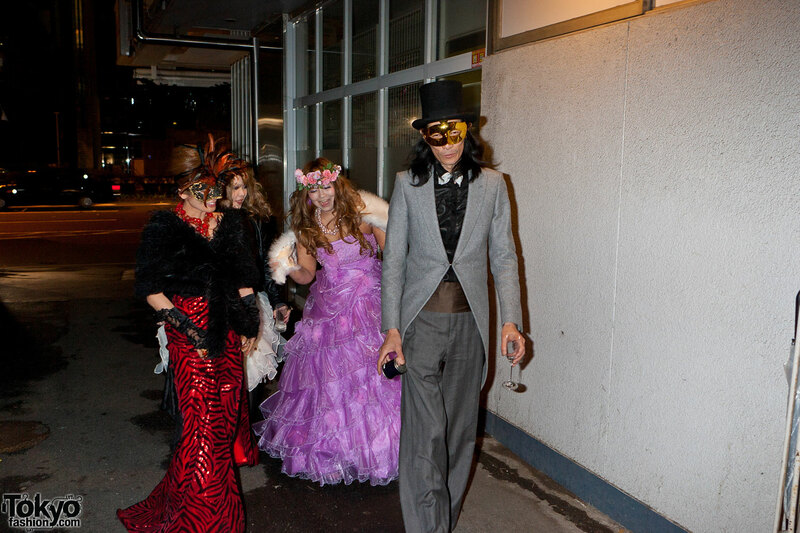 The dress code of MASQUERADE BANG! 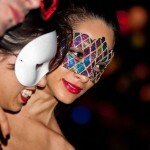 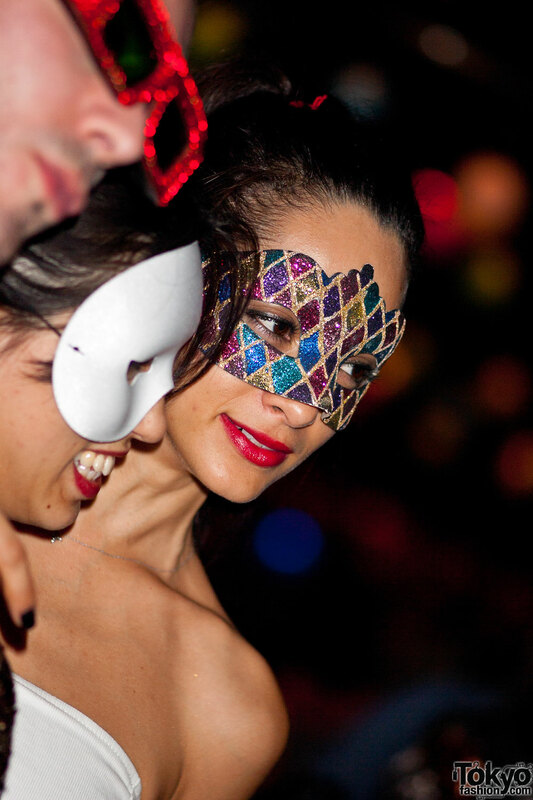 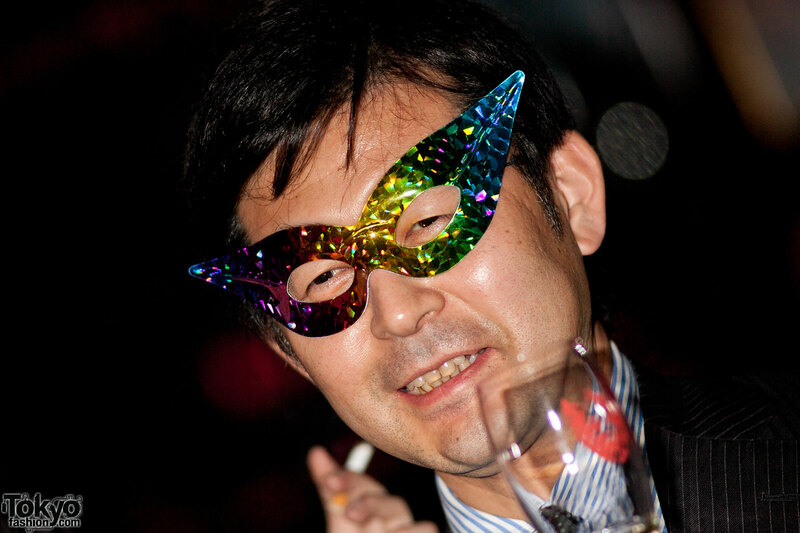 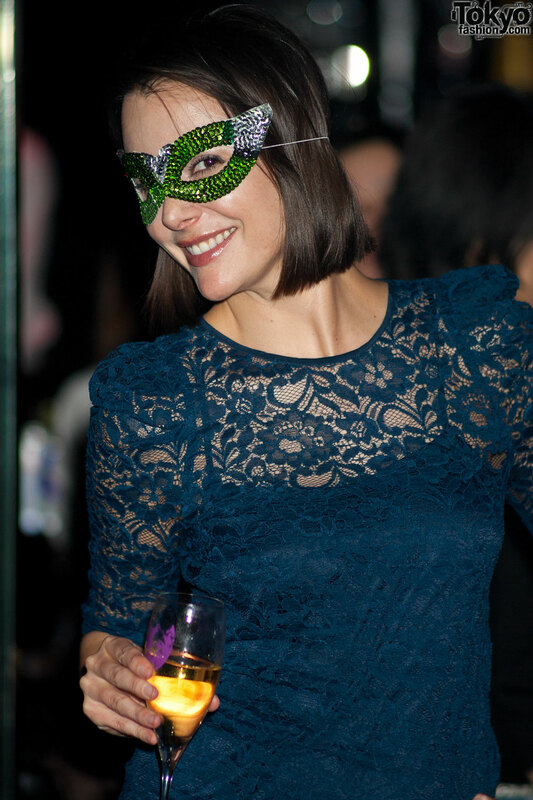 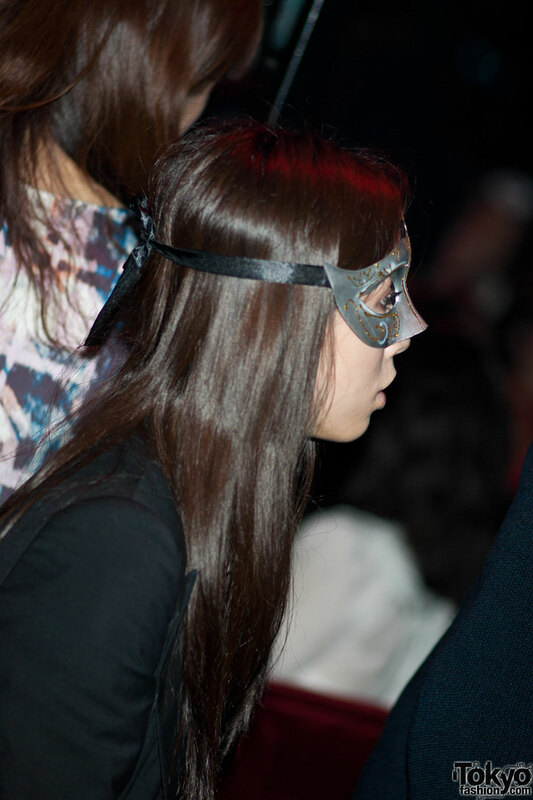 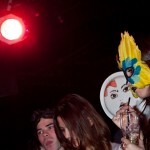 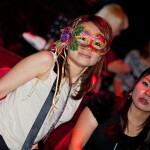 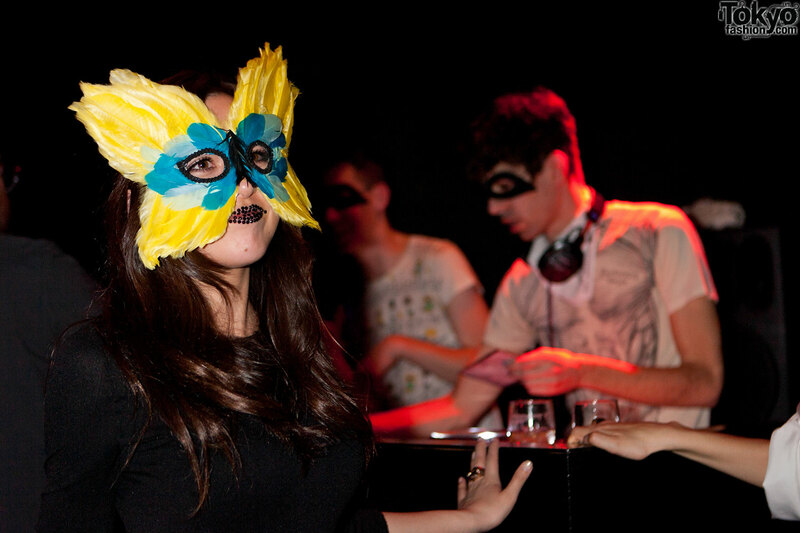 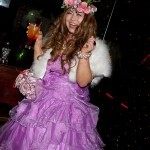 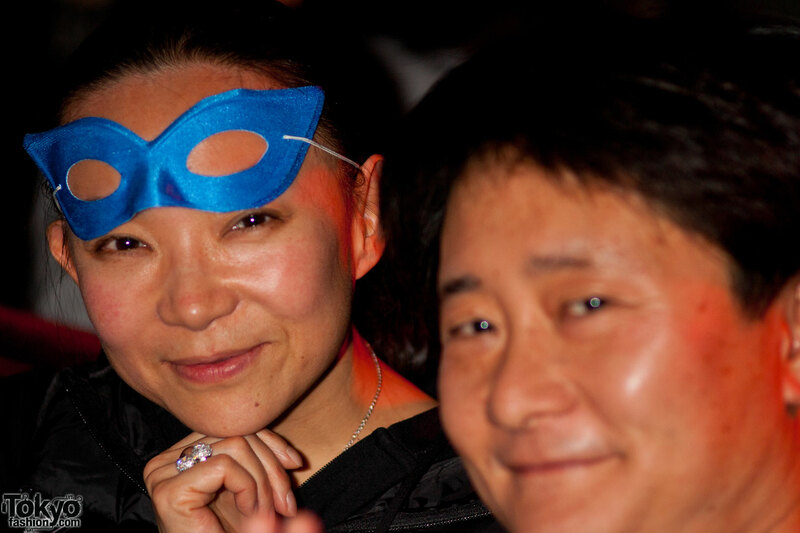 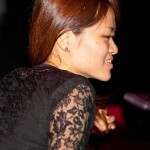 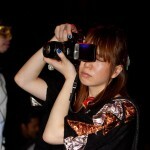 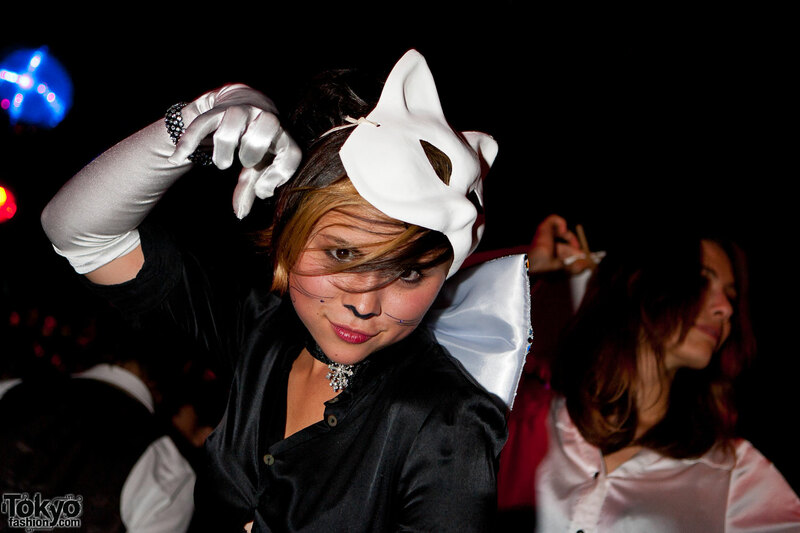 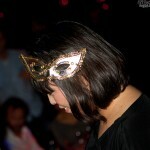 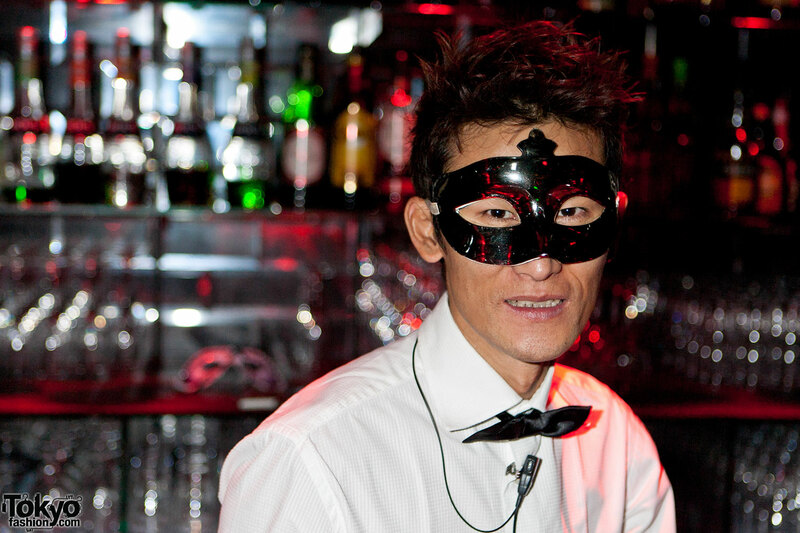 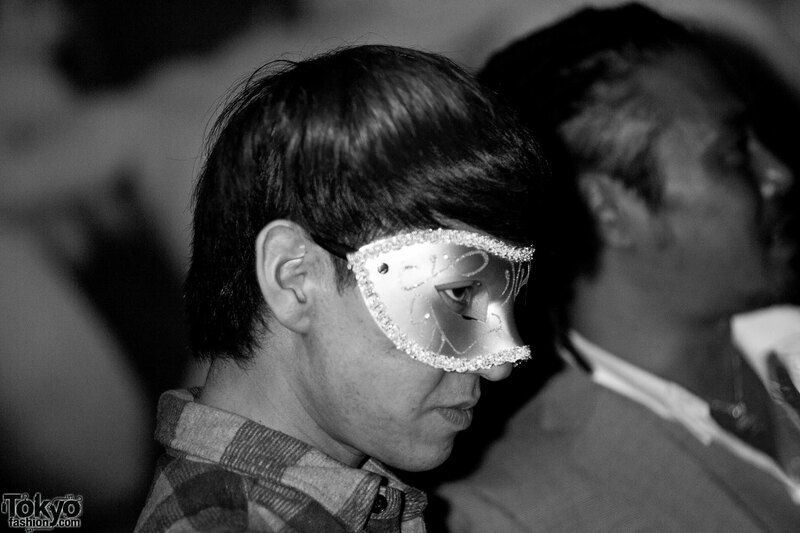 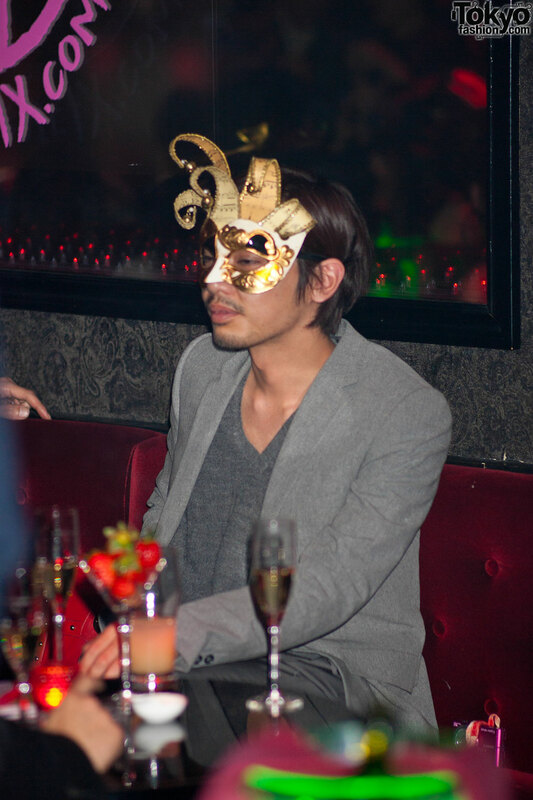 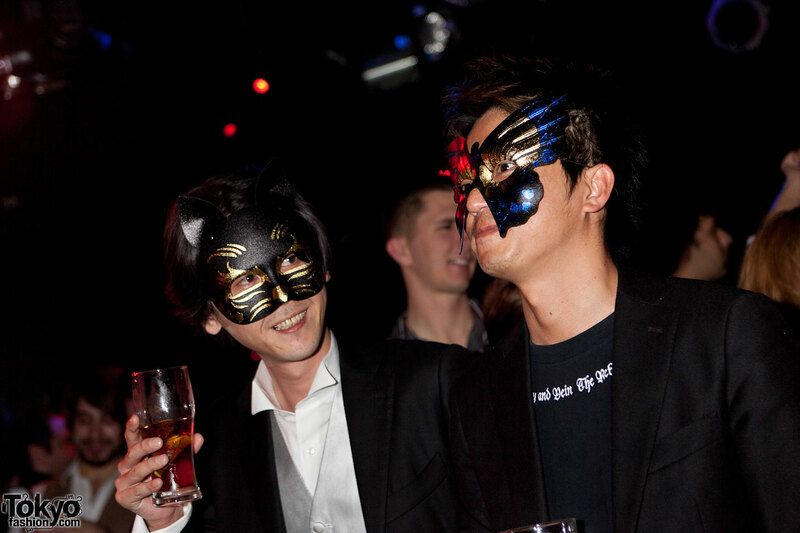 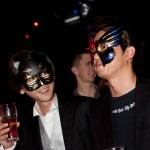 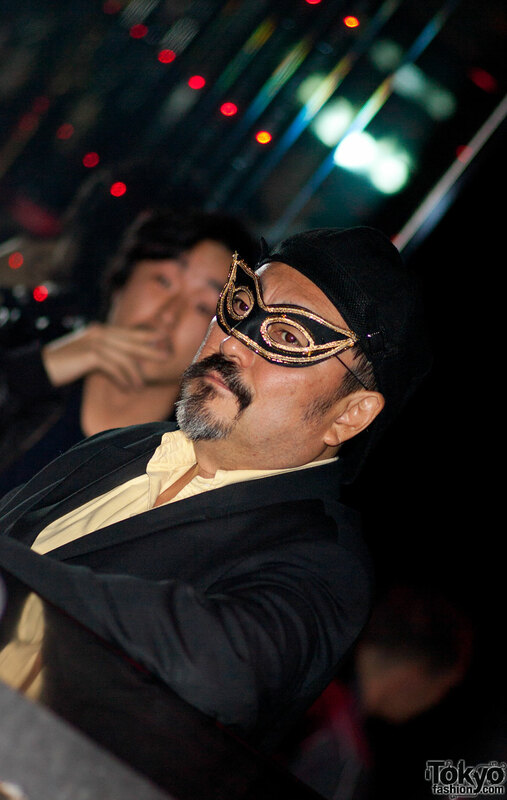 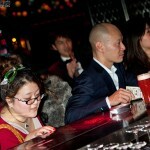 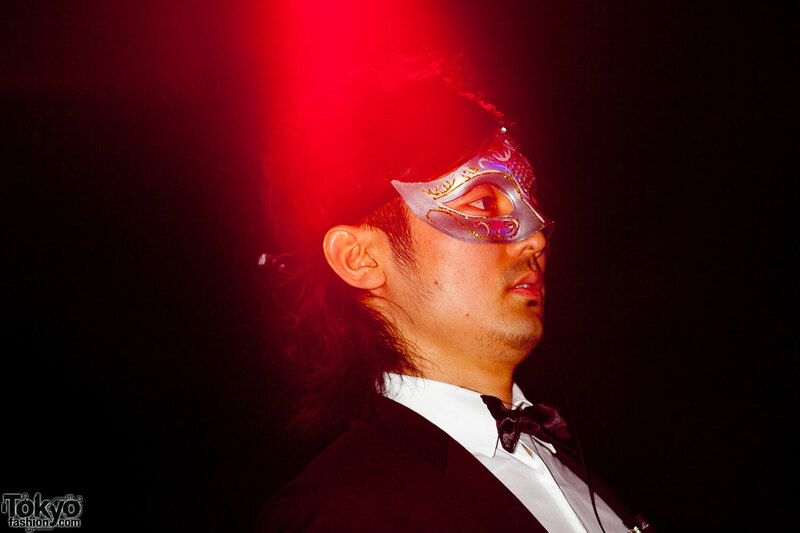 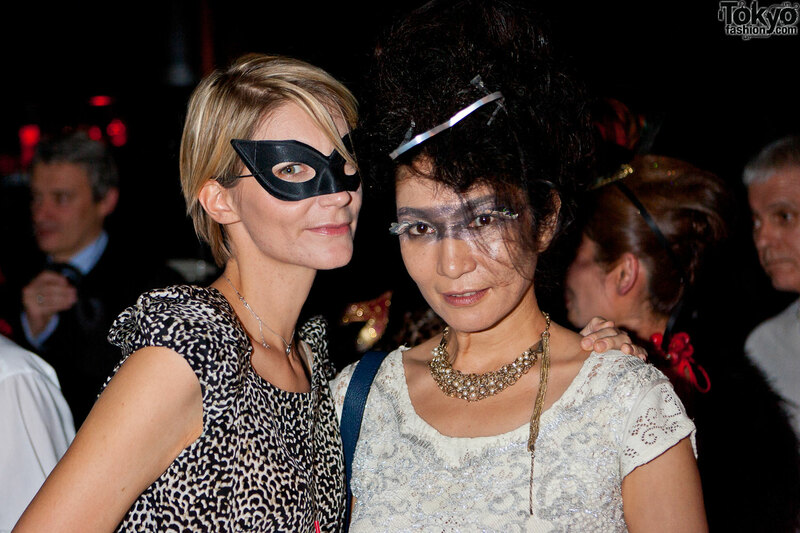 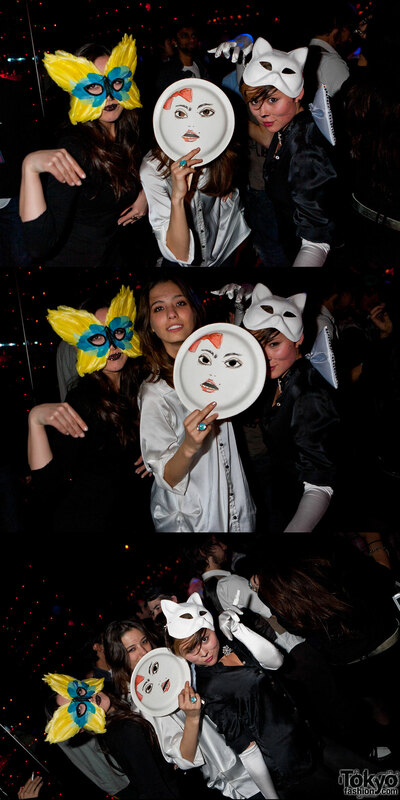 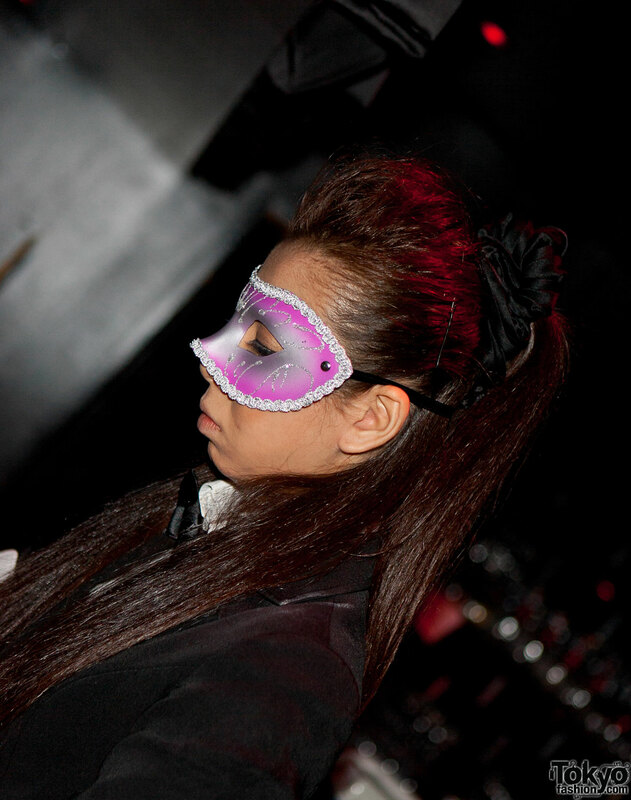 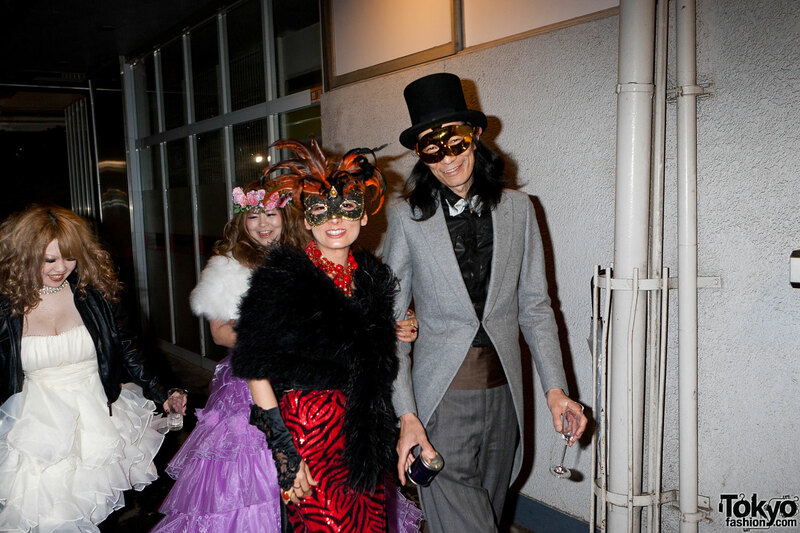 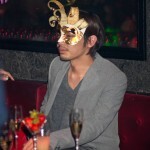 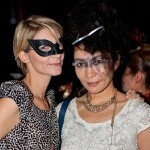 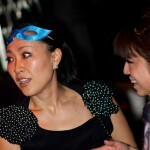 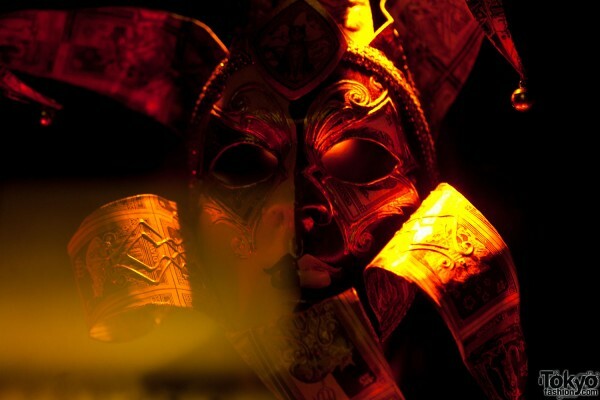 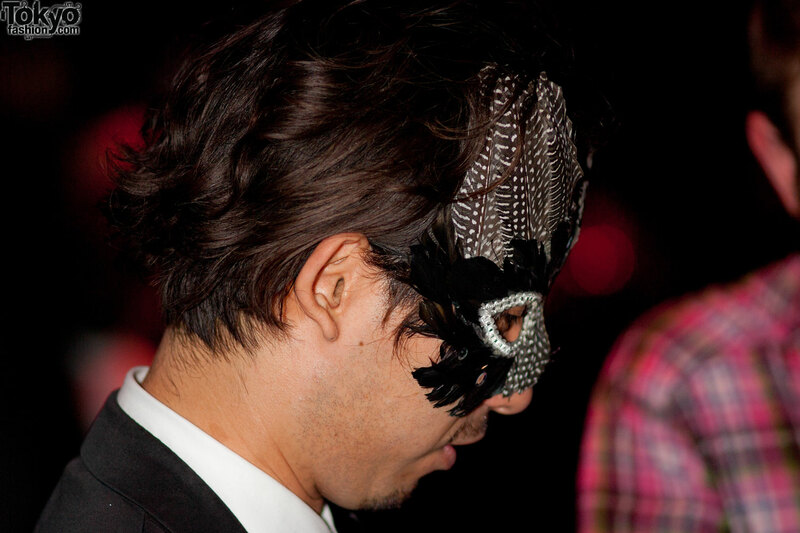 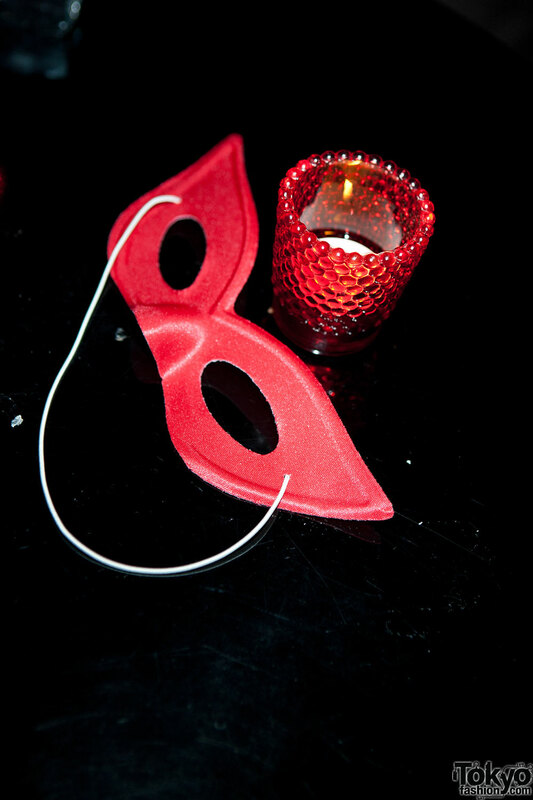 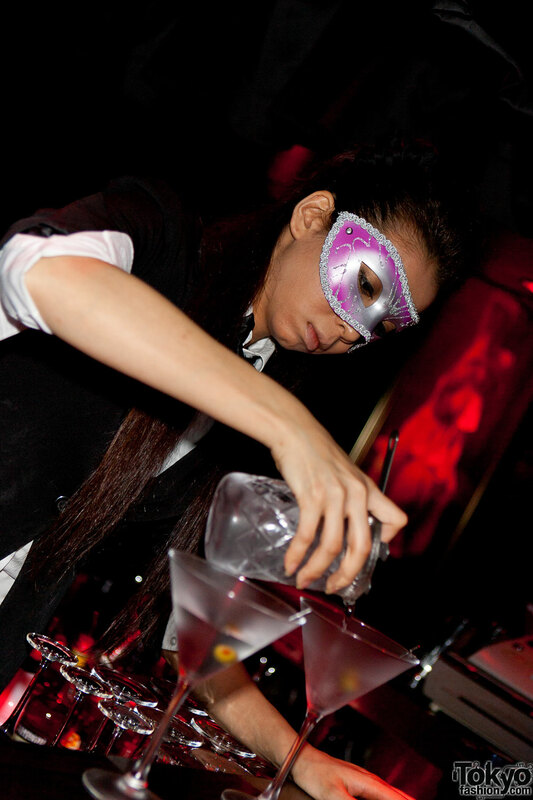 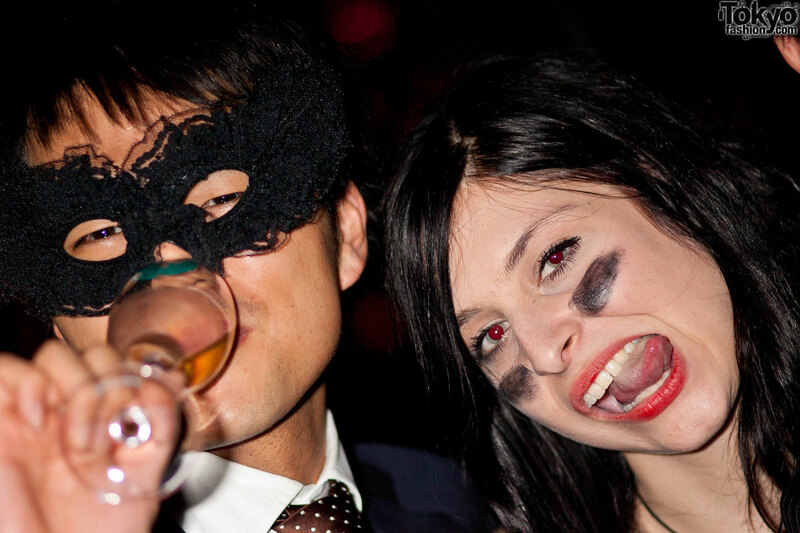 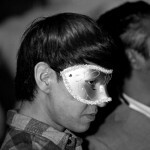 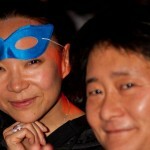 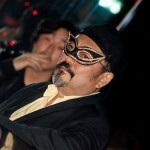 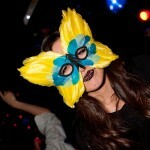 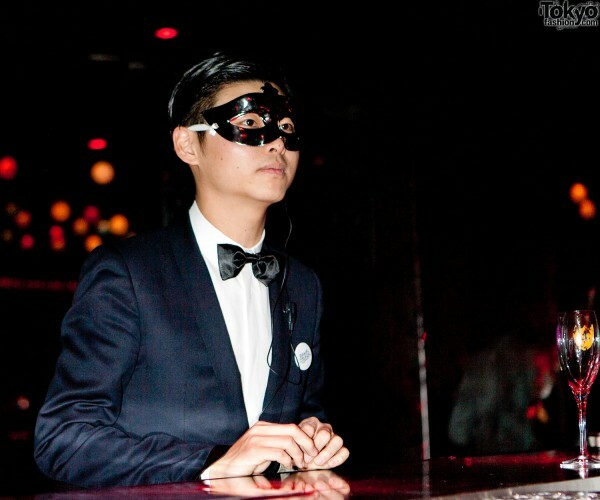 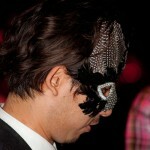 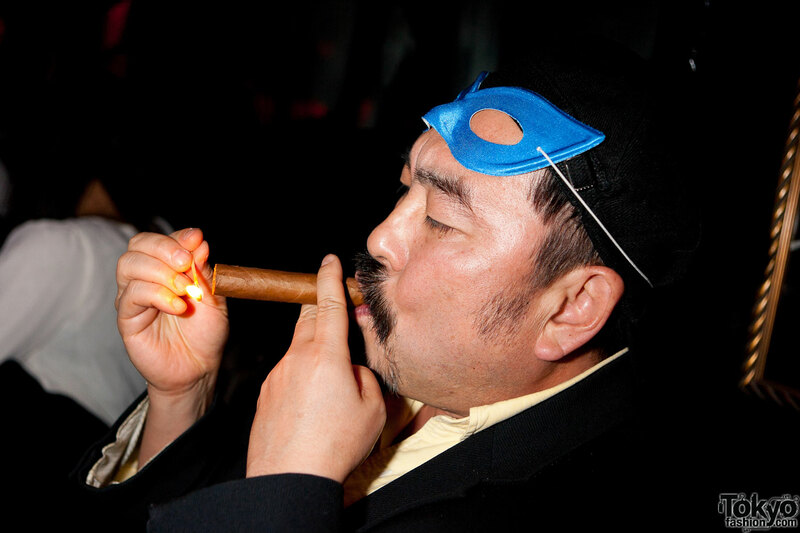 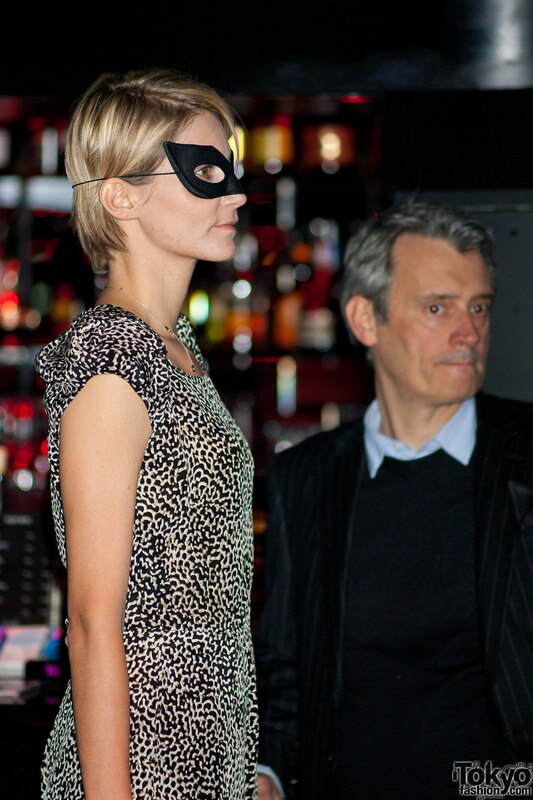 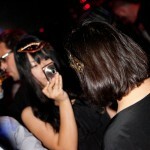 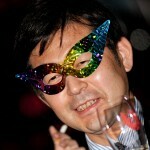 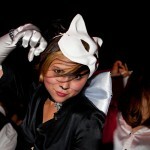 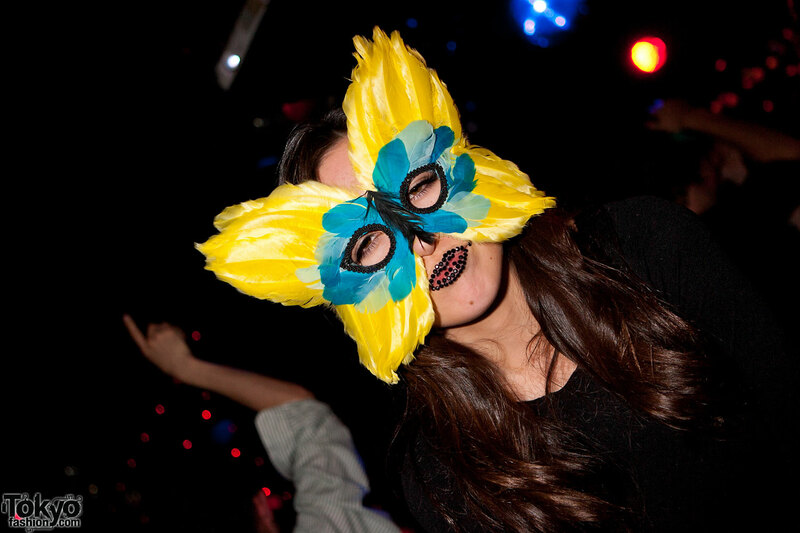 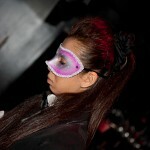 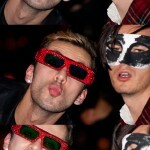 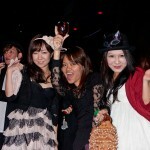 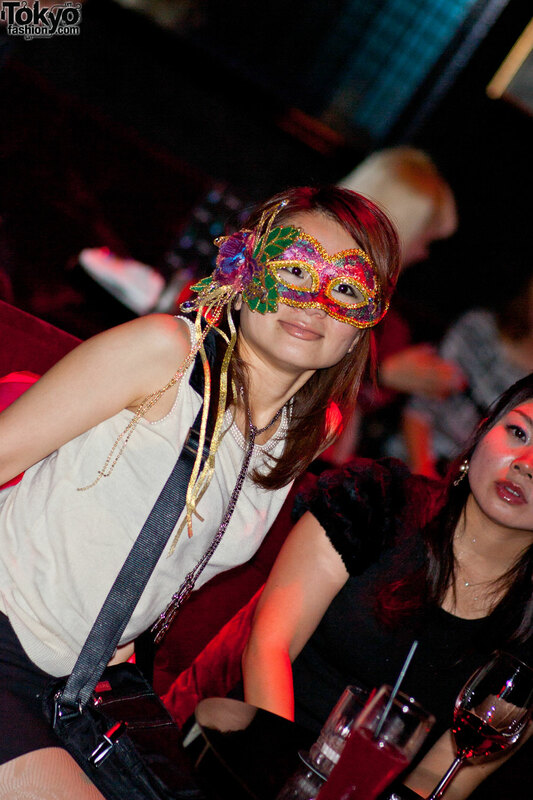 was, of course, masquerade – with party-goers sporting a variety of masks, headdresses, and masquerade-ball-themed attire. 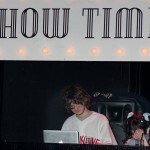 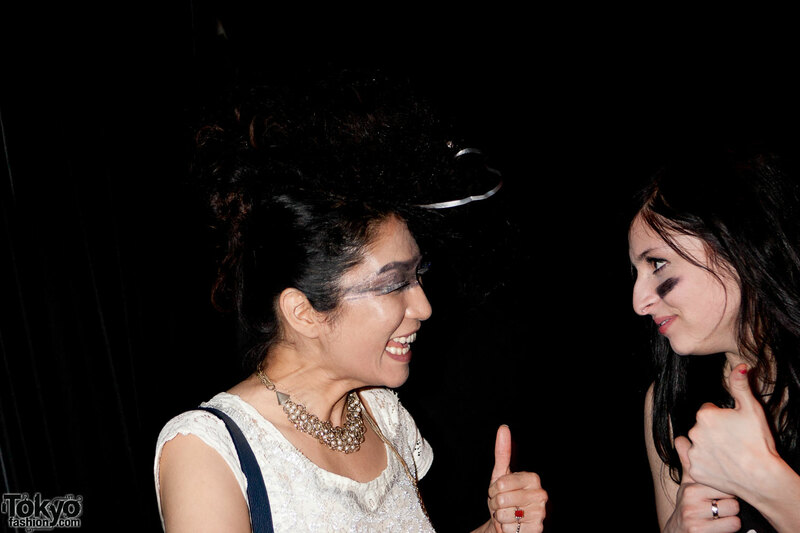 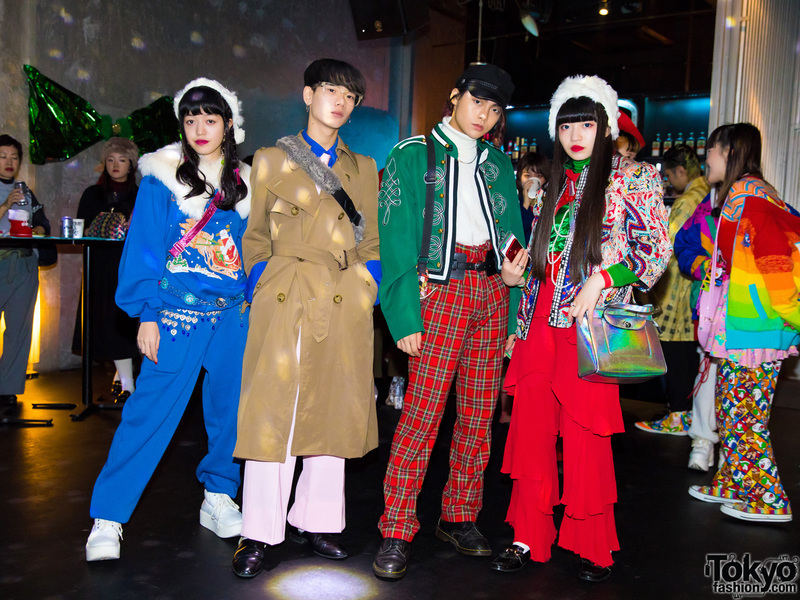 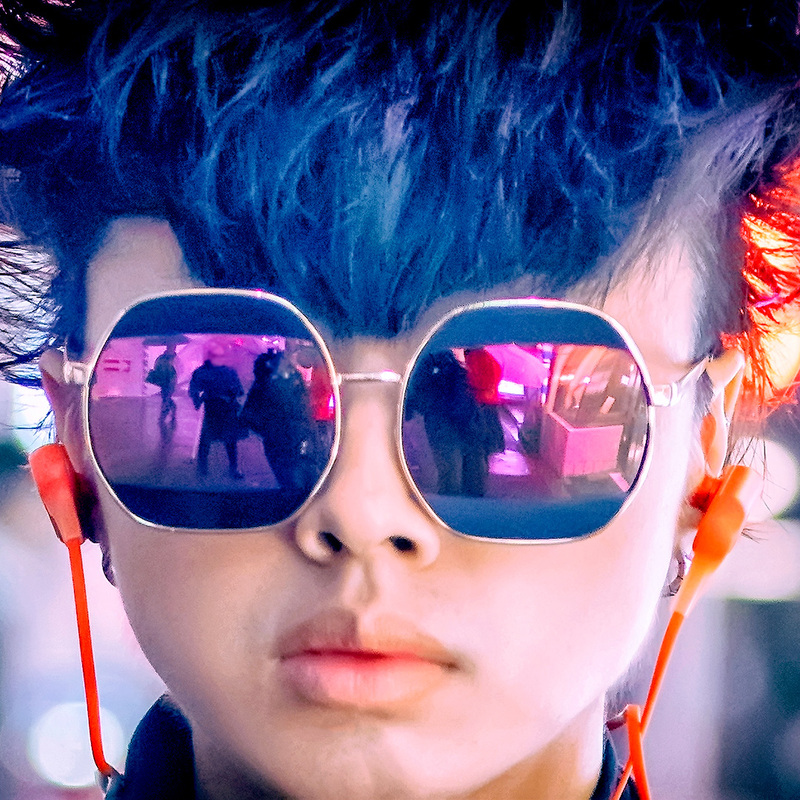 The night’s soundtrack was provided by Nylon Mag/Elle stylist Peli, Shoichi Kajino from the music label L’Appareil Photo, and – back for a second night of mayhem – NYC-based The Shining Twins. 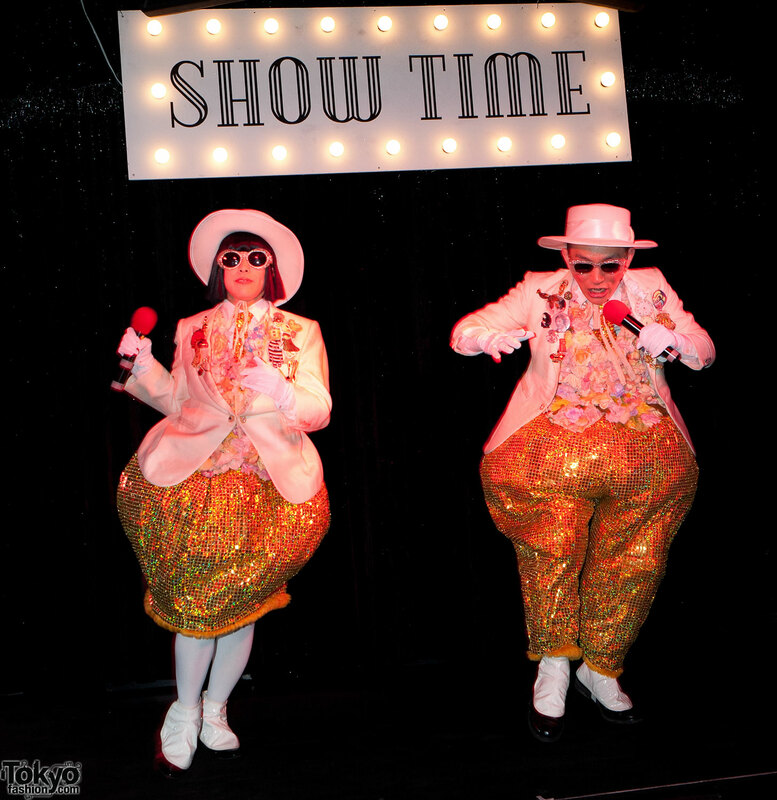 Attendees were also treated to a performance by retro dance group Fujin Raijin and the hot hot hot Reserved featuring Noemi & Momoko. 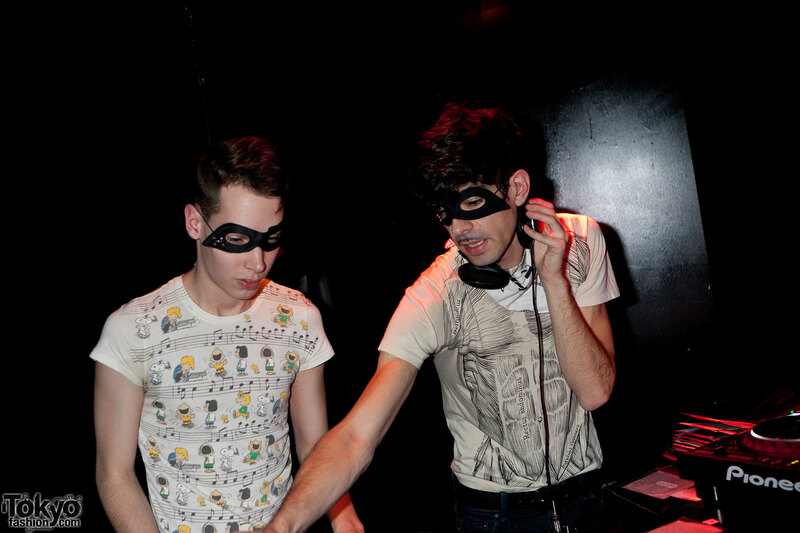 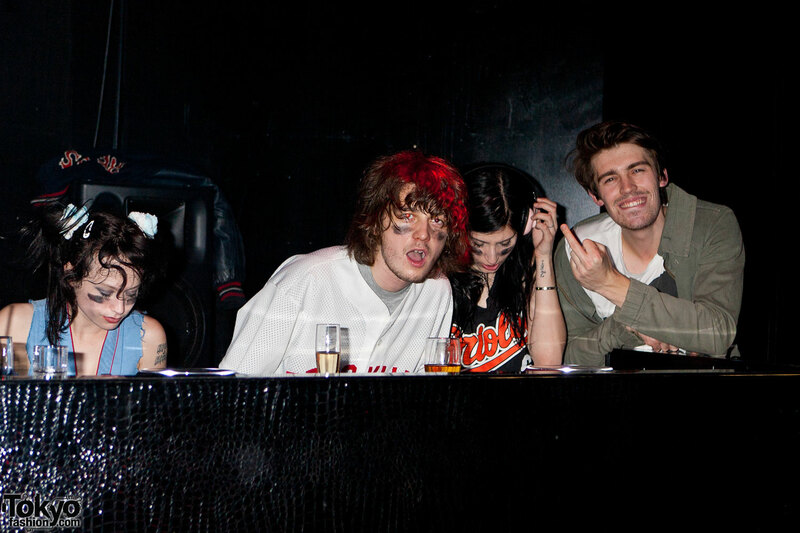 Does anyone else think the DJs look like Joe and Nick Jonas?